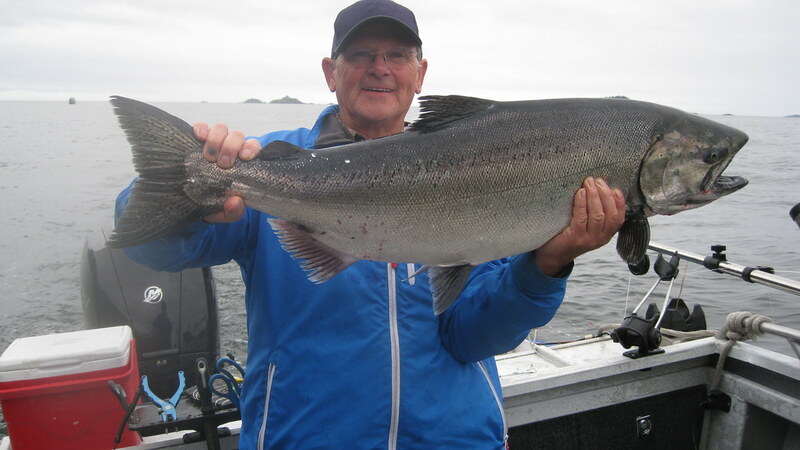 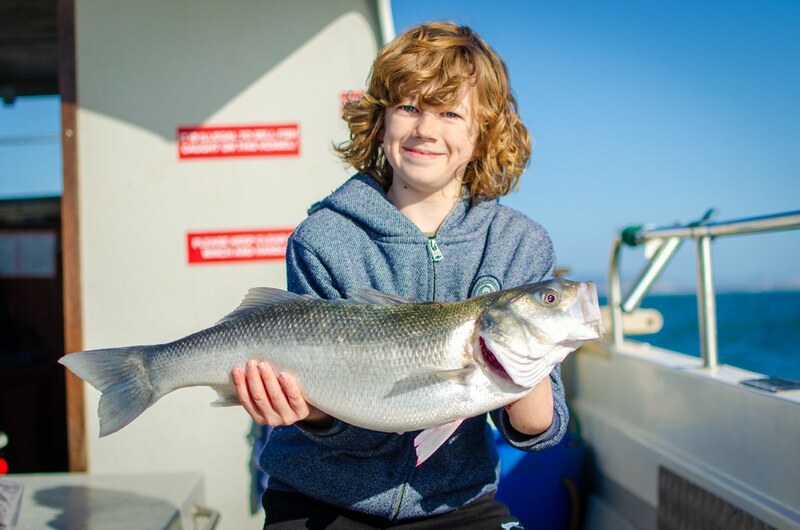 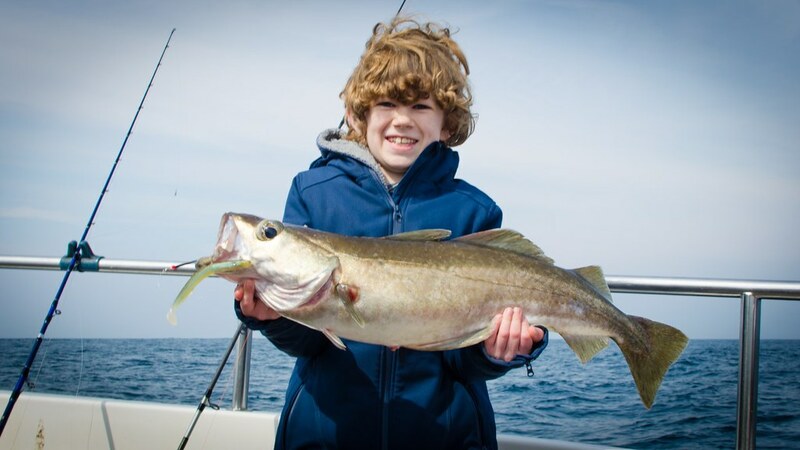 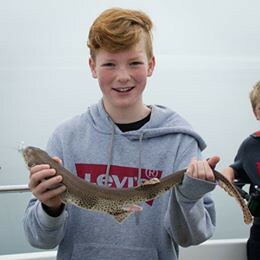 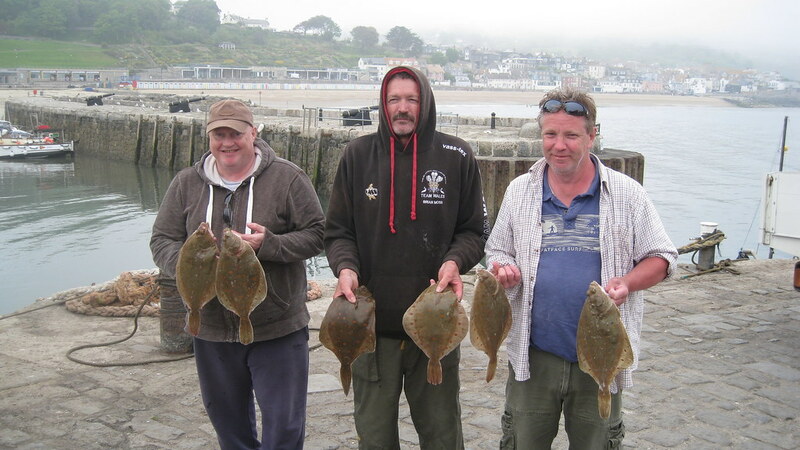 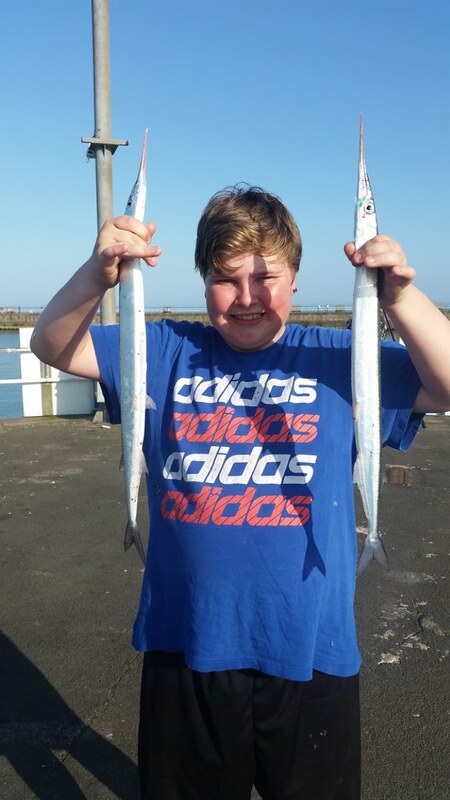 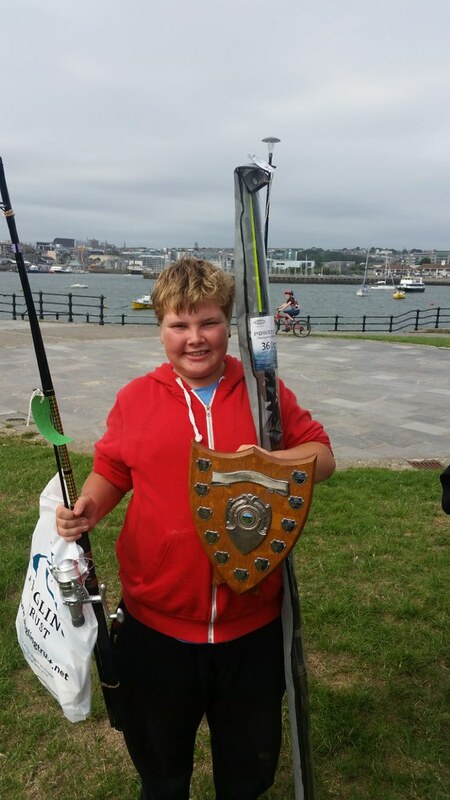 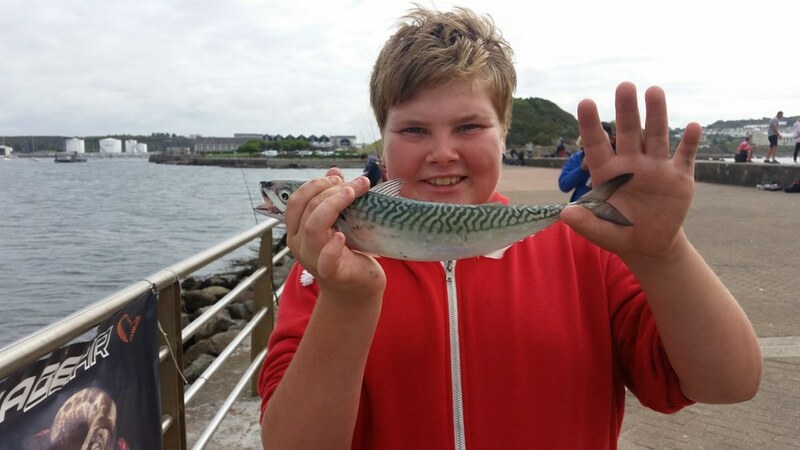 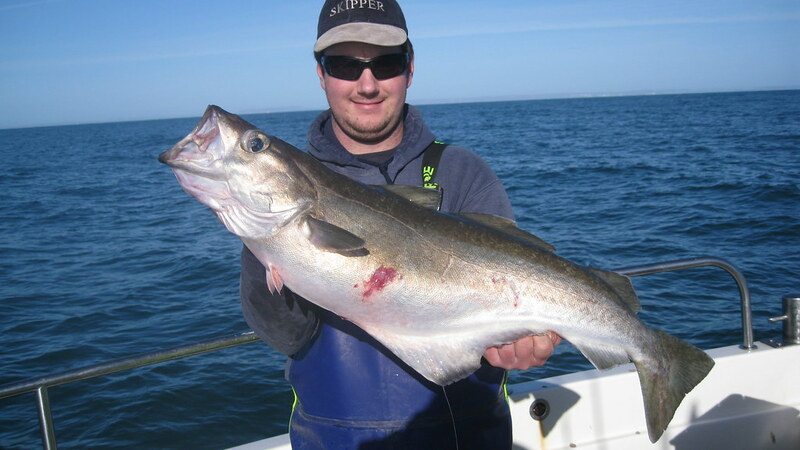 Sam pictured with a Pollack of 14lbs 12ozs that he caught on charter boat Alice Rose (skipper Lewis Hodder). 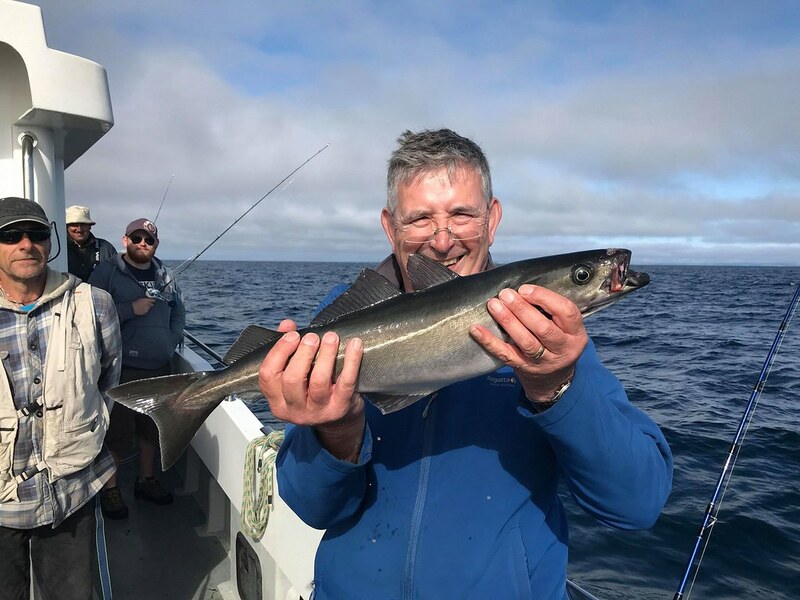 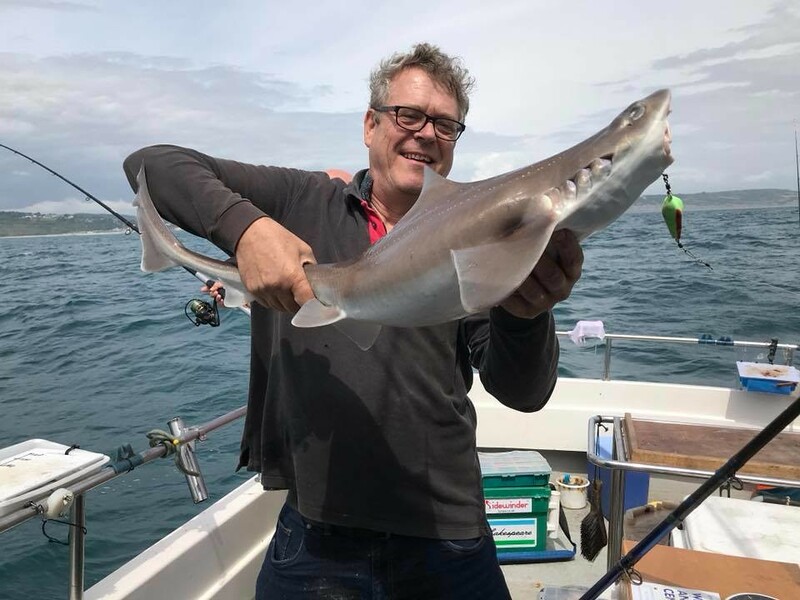 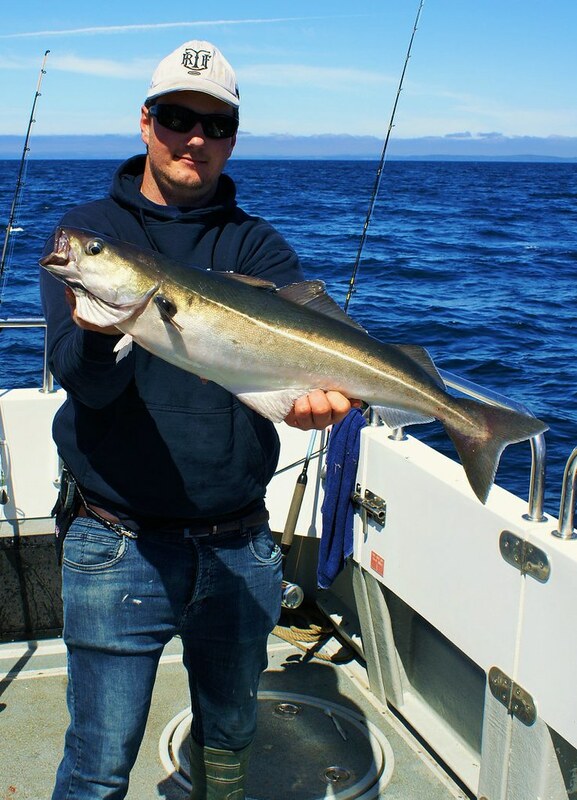 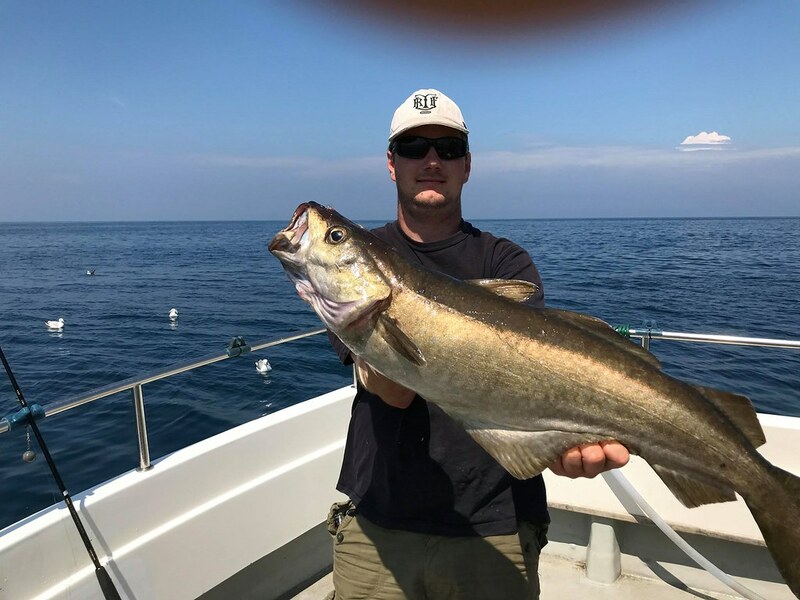 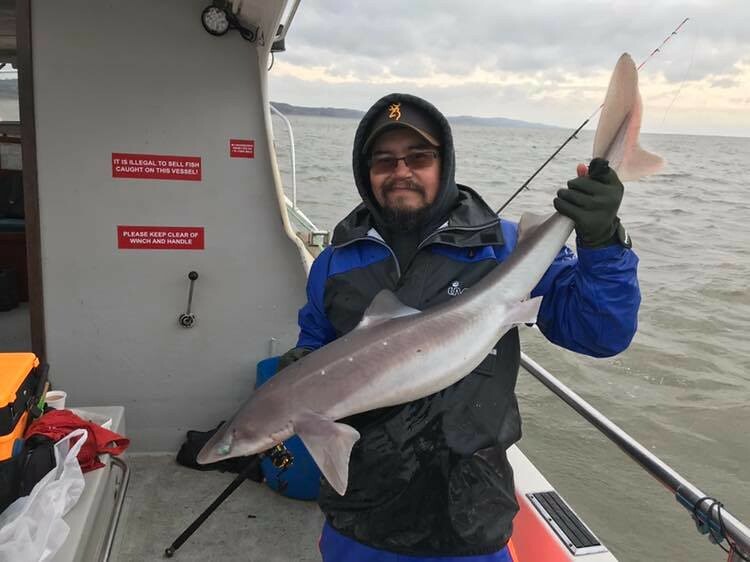 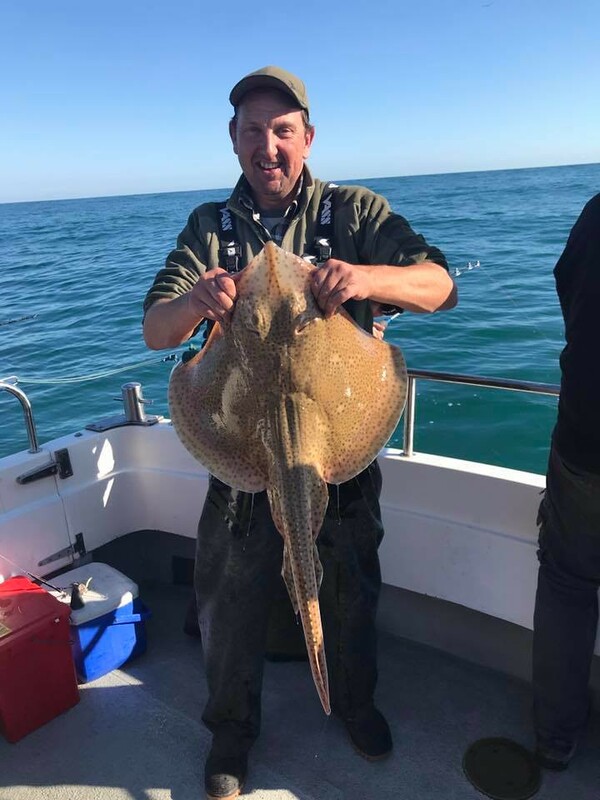 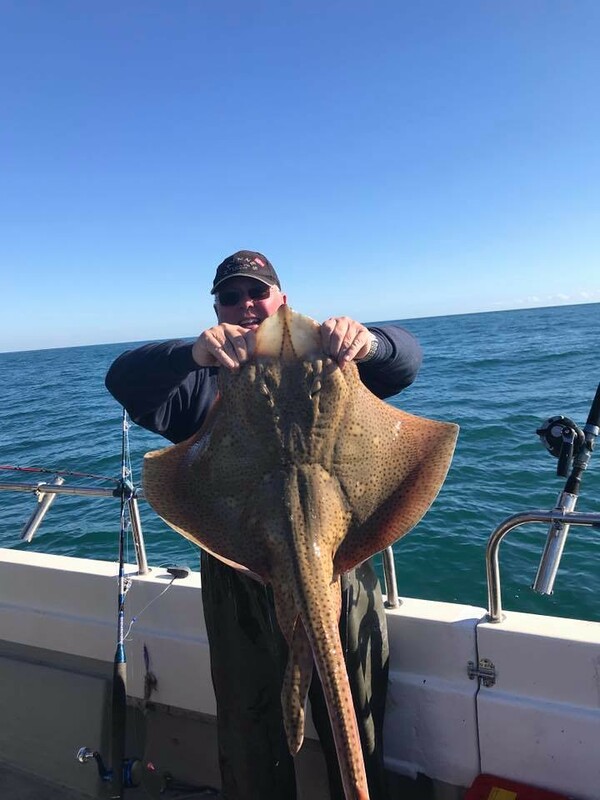 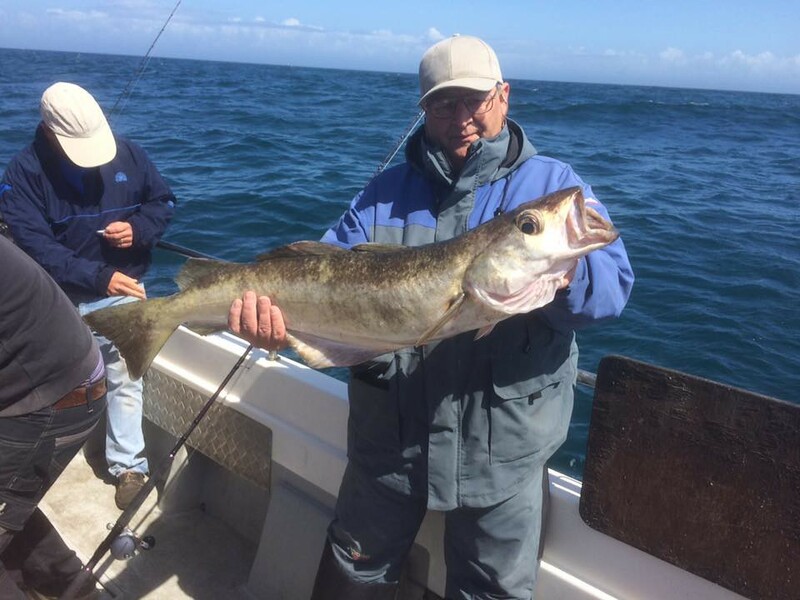 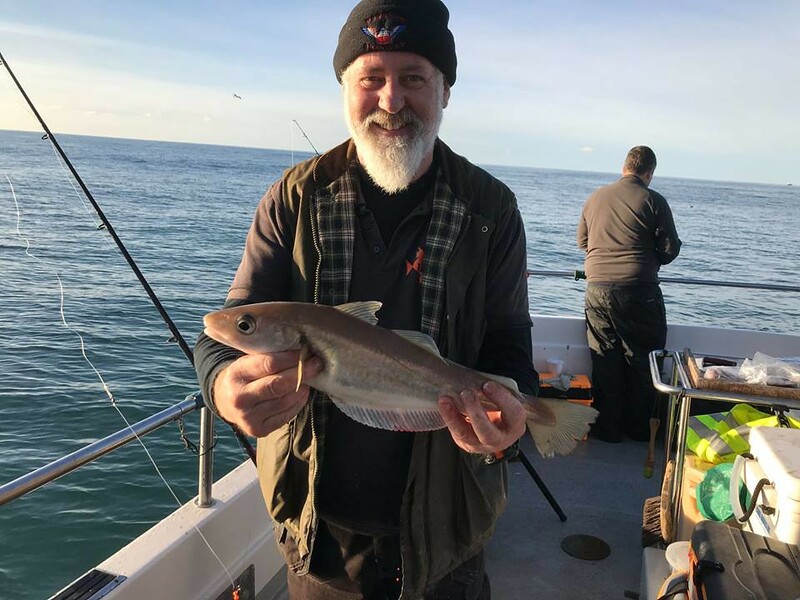 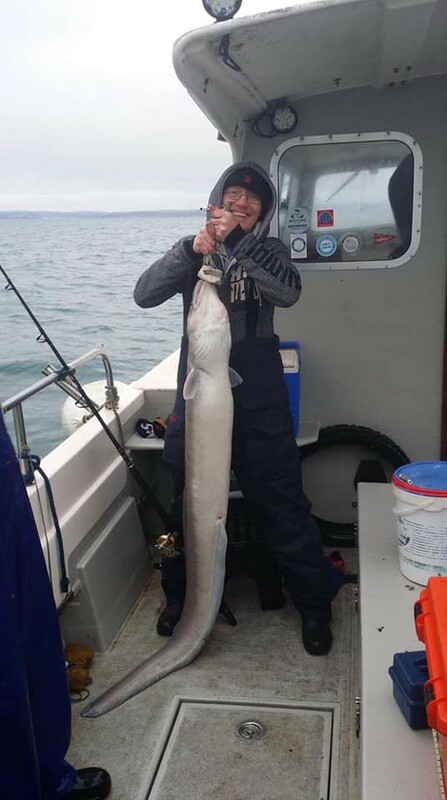 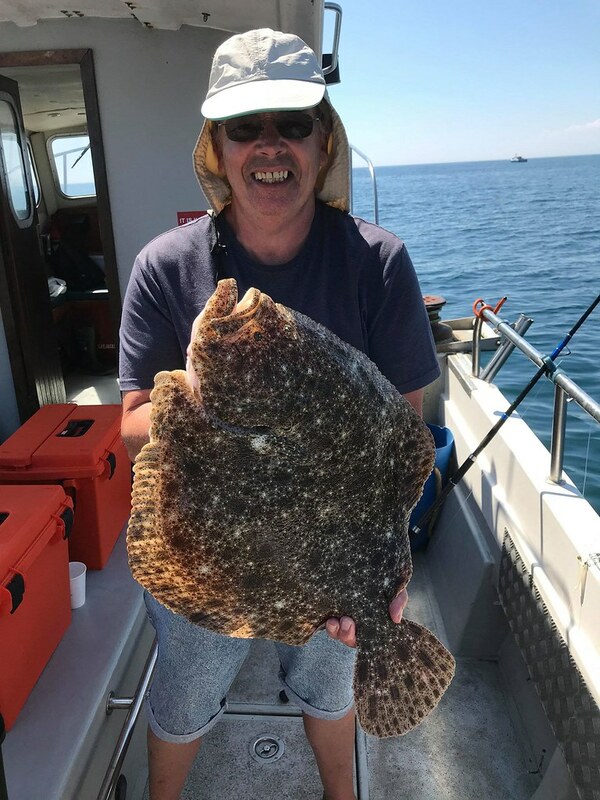 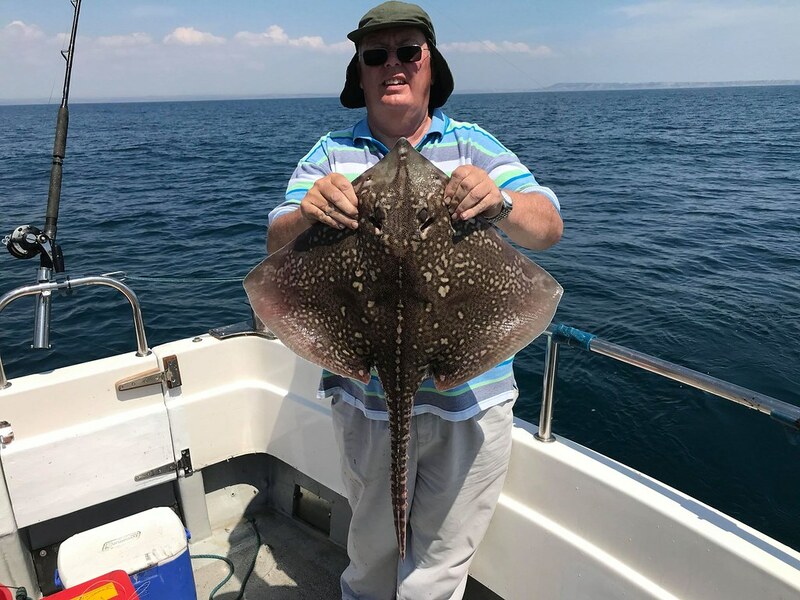 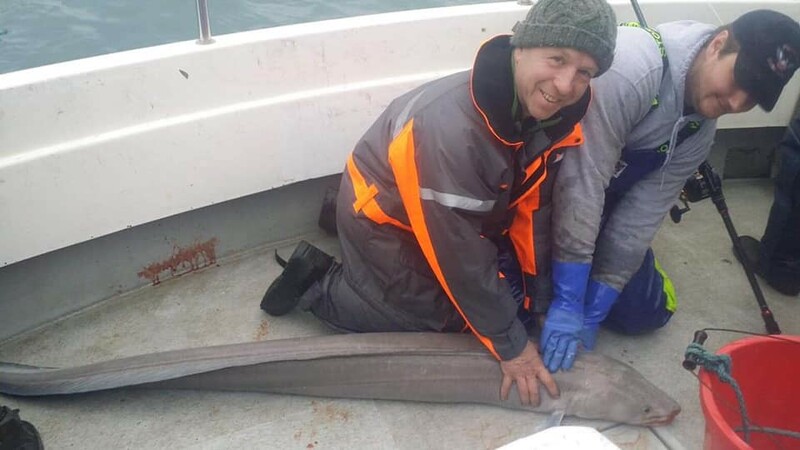 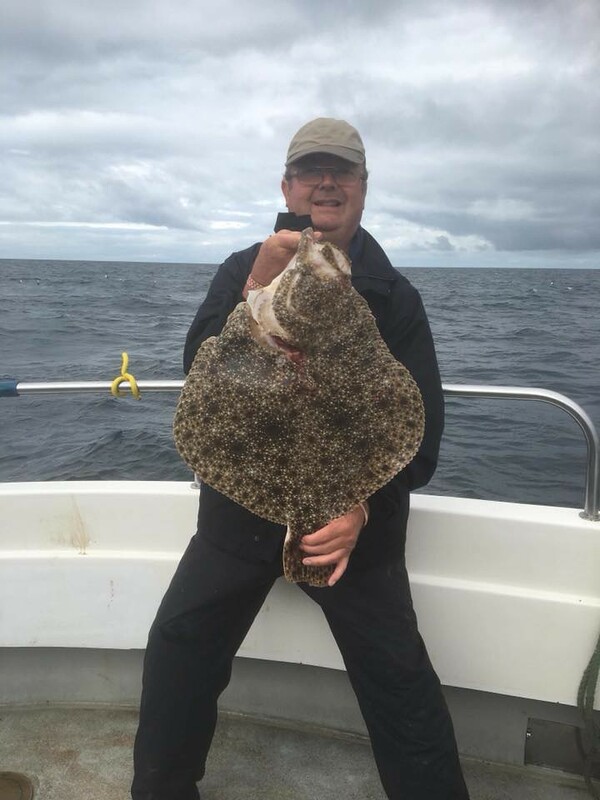 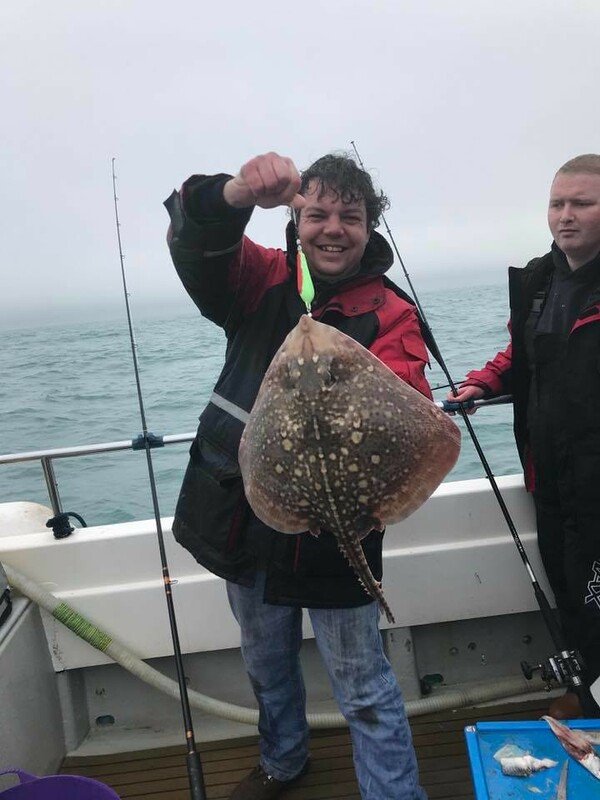 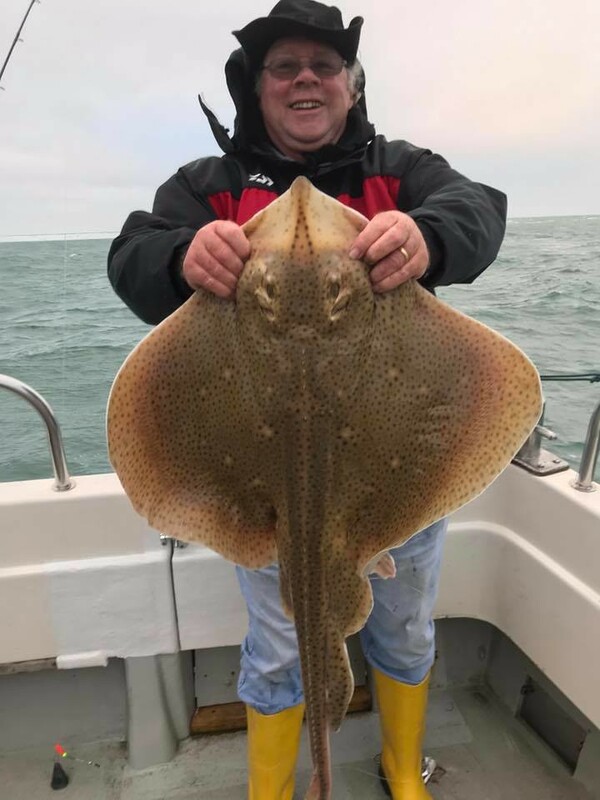 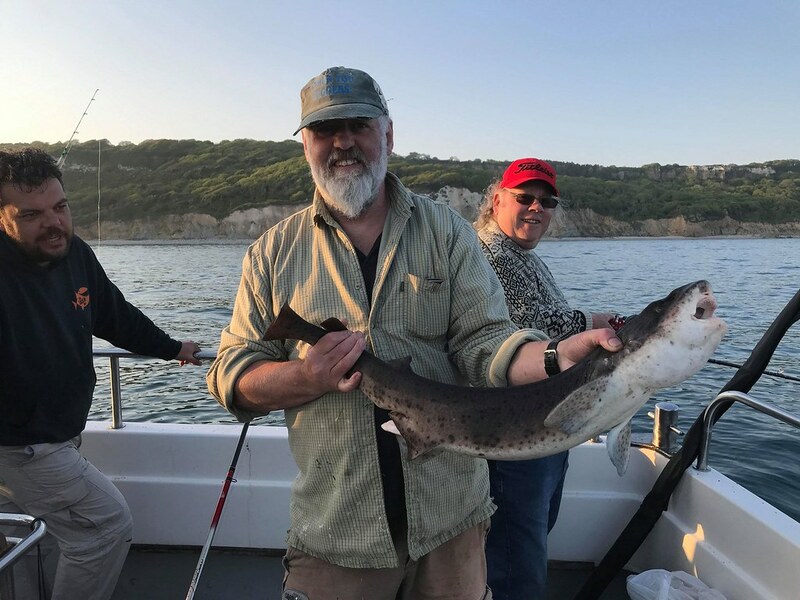 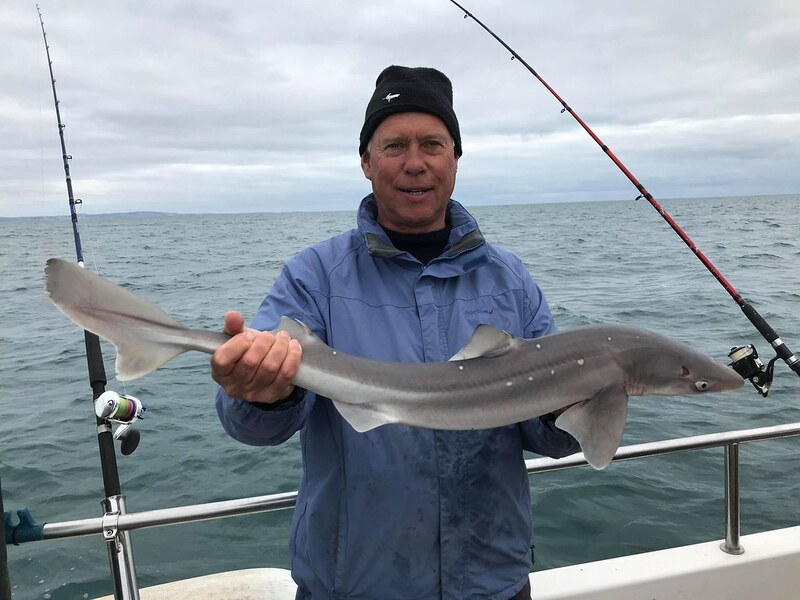 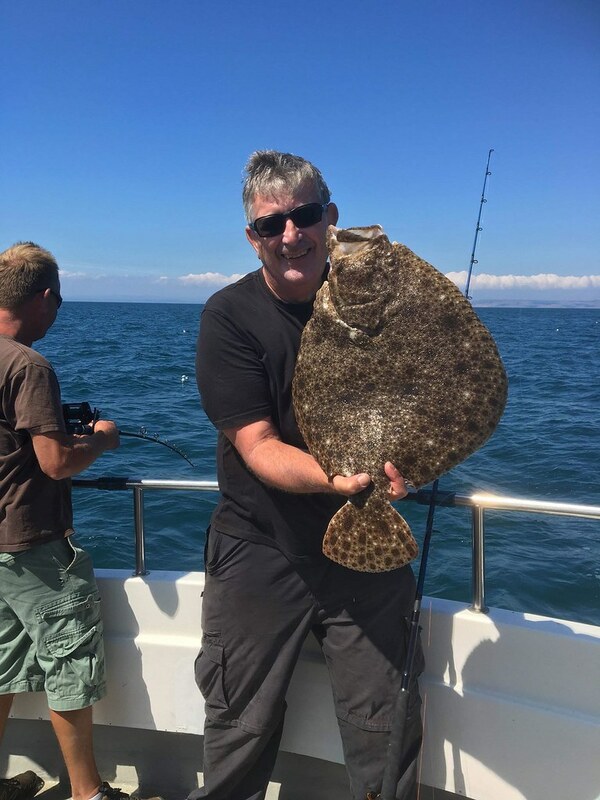 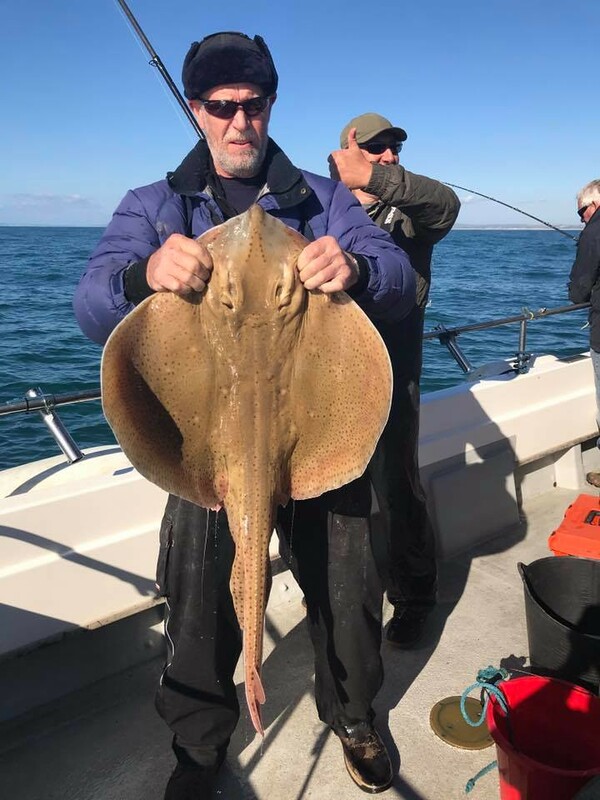 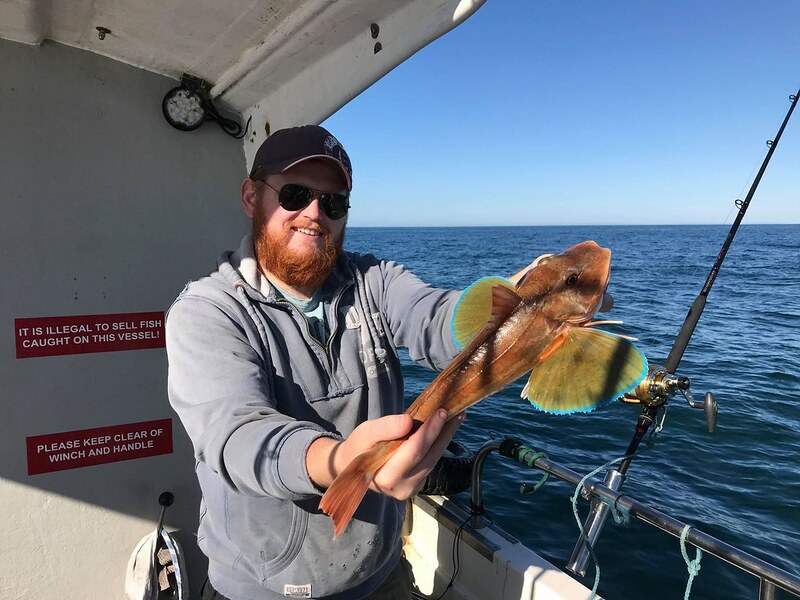 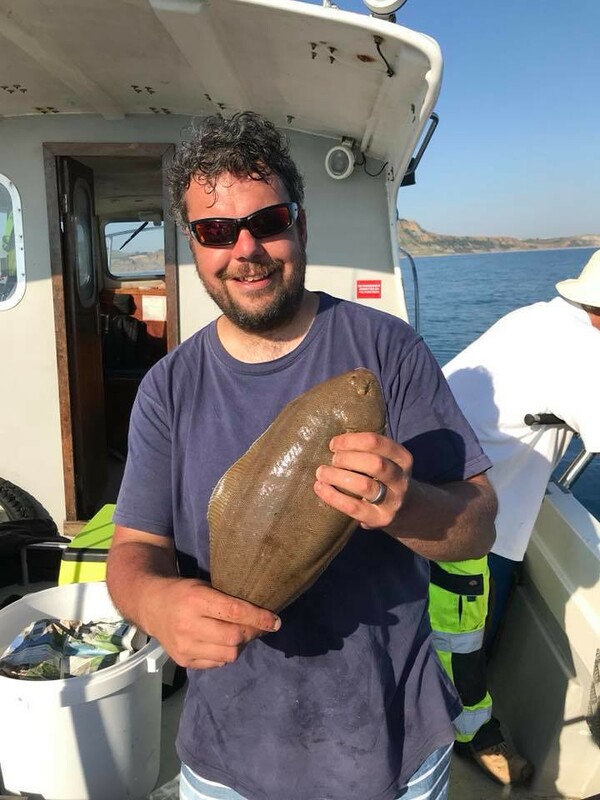 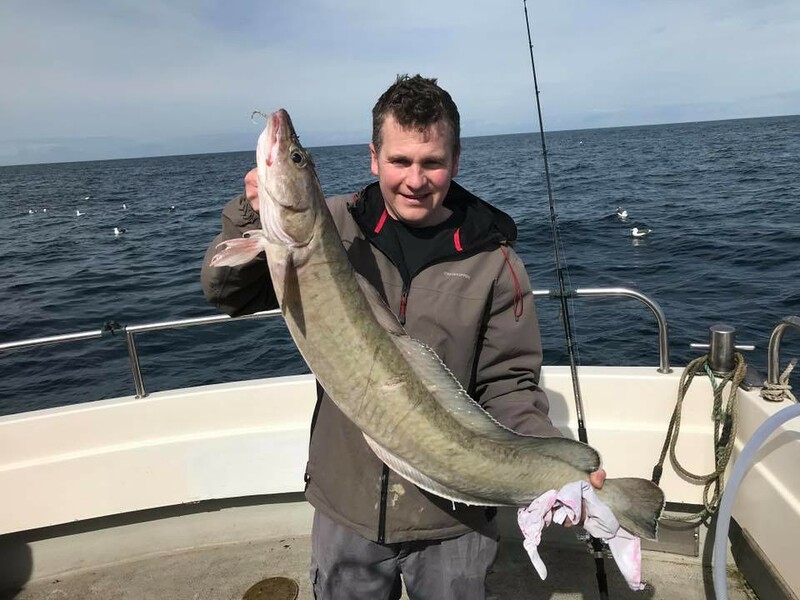 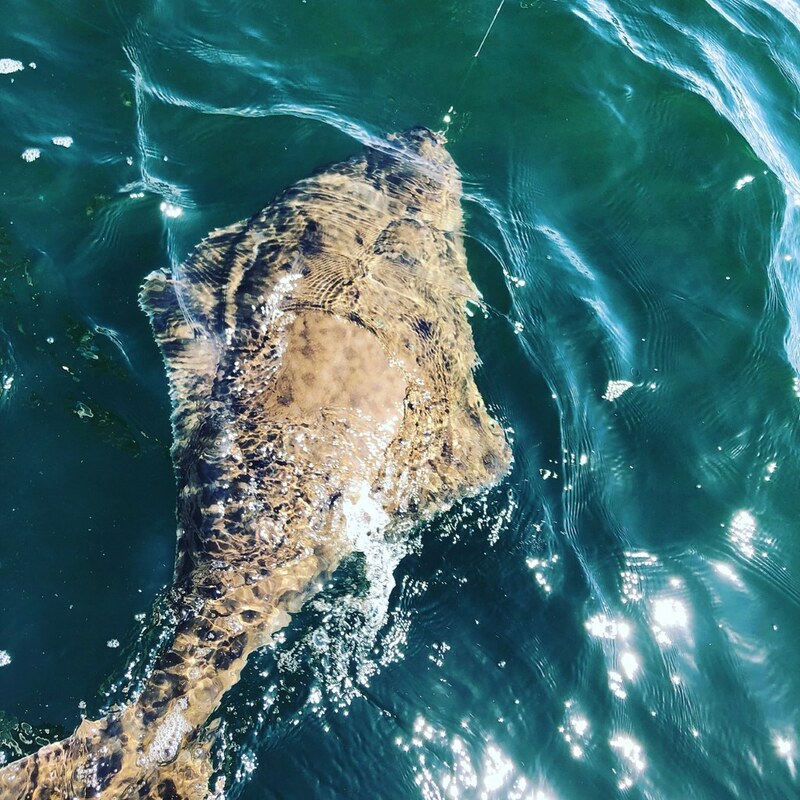 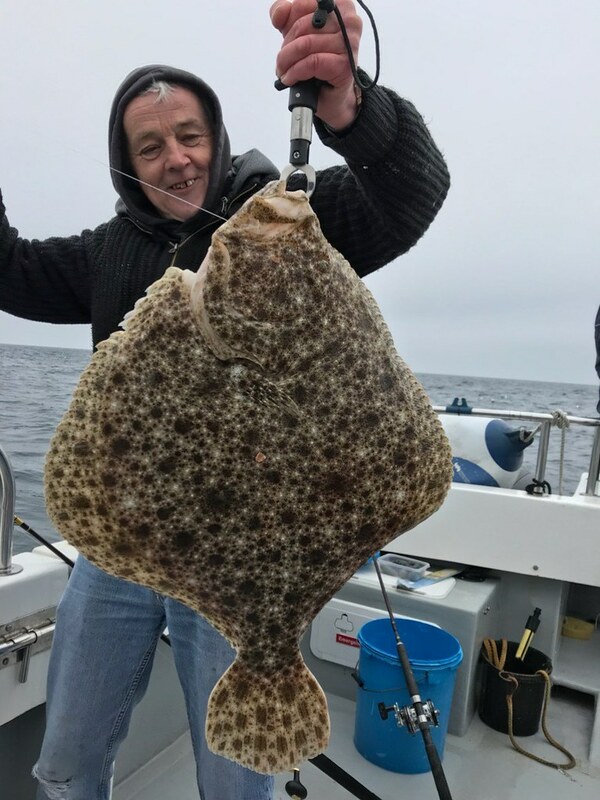 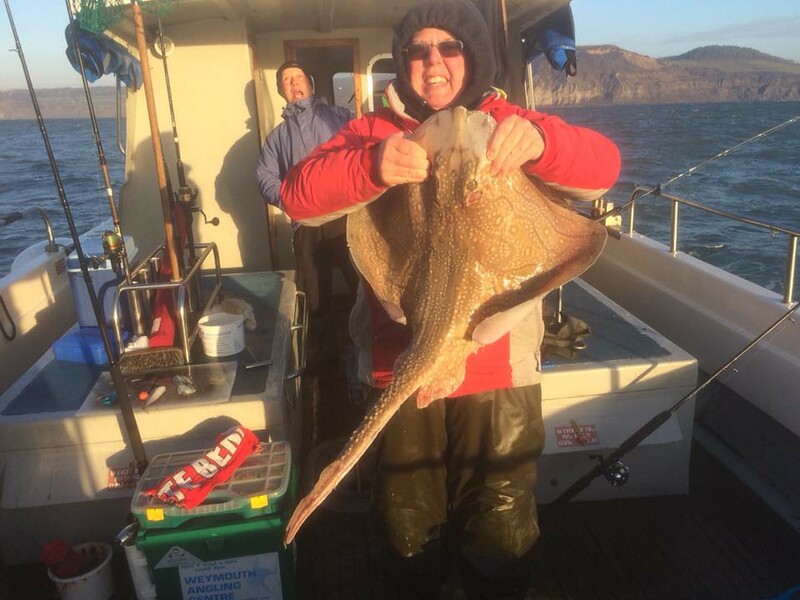 Darren with a 7lb Thornback Ray caught on one of his patented "Hook ups" whilst fishing in the "Best Pair of Whiting" boat match on Alice Rose. 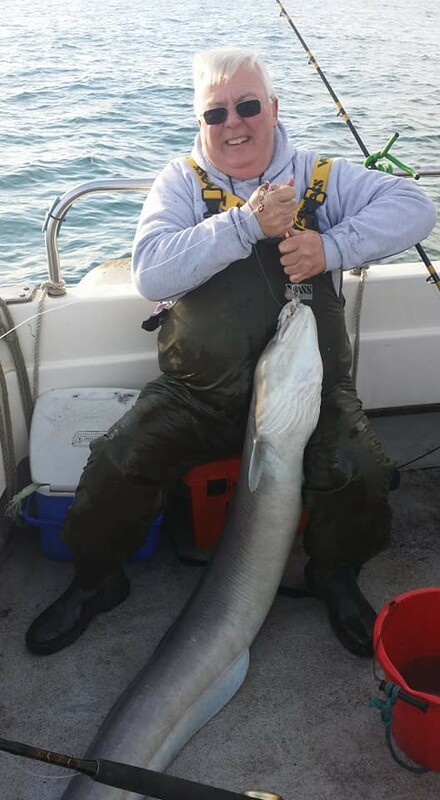 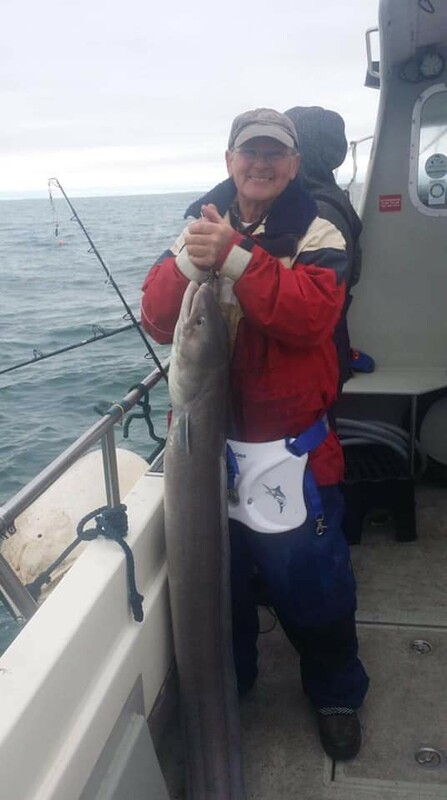 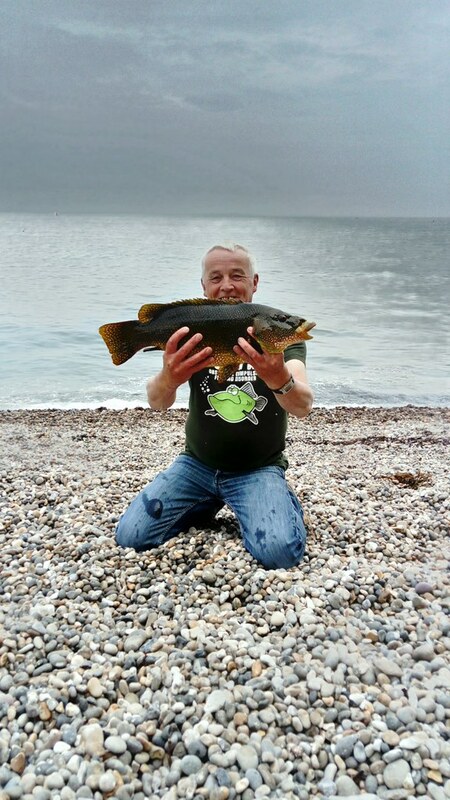 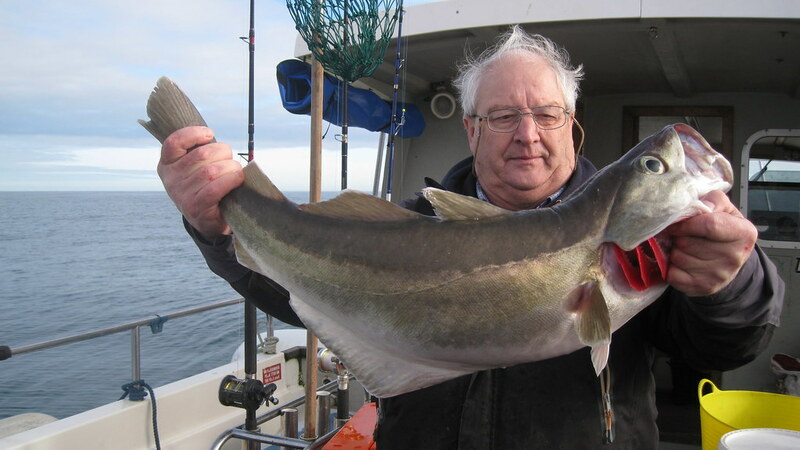 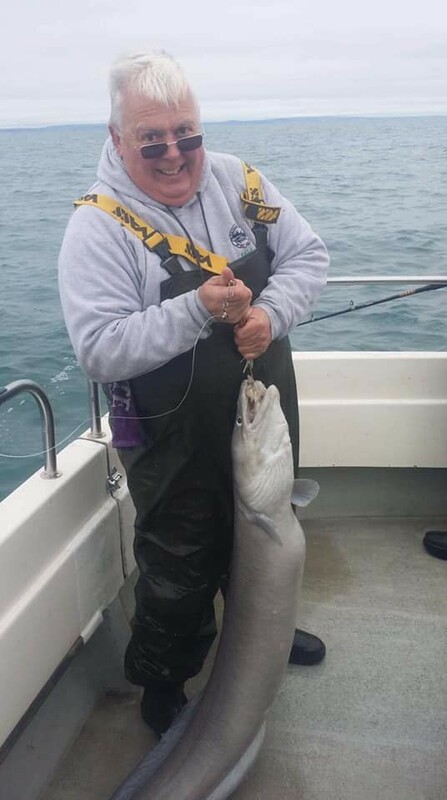 Roy pictured with a 14lb Pollack caught when fishing with Lewis Hodder on a mid channel wreck. 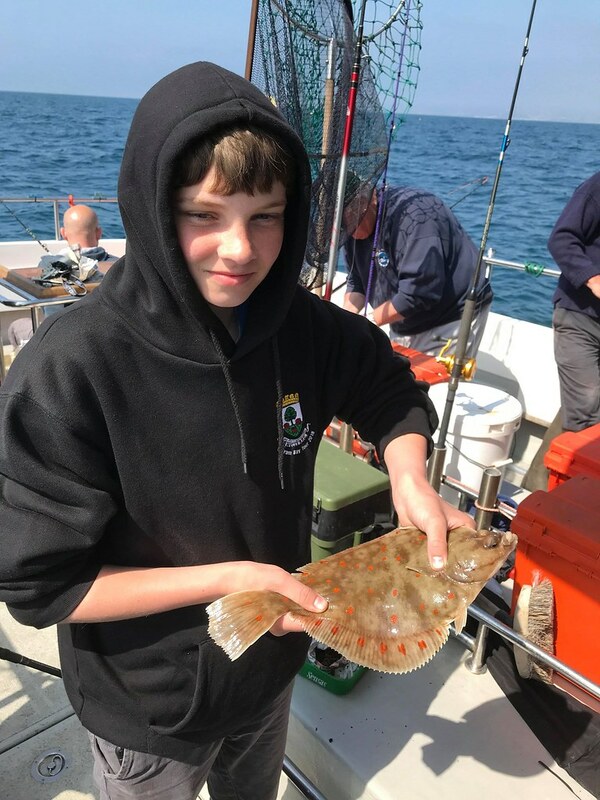 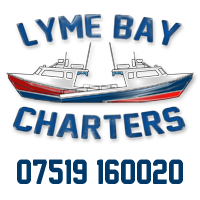 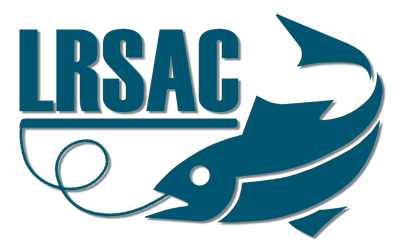 In trying conditions the first LRSAC boat match took place on Alice Rose. 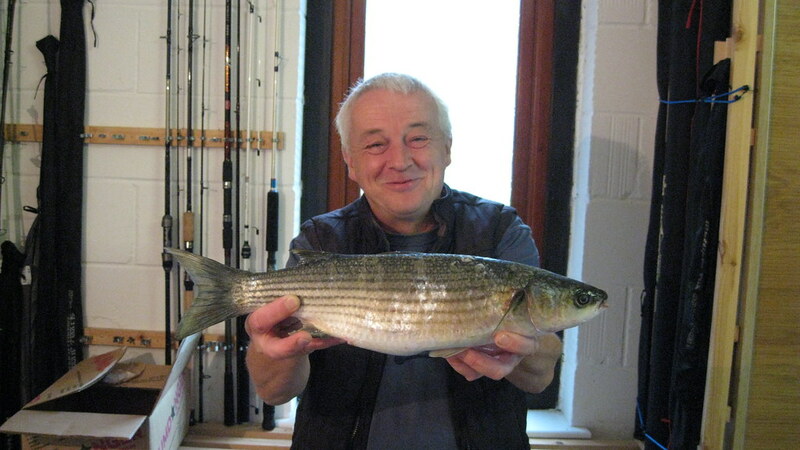 The winner of the best Pair of Whiting competition was Roy Shipway with a combined aggregate score of 1,832 gms. 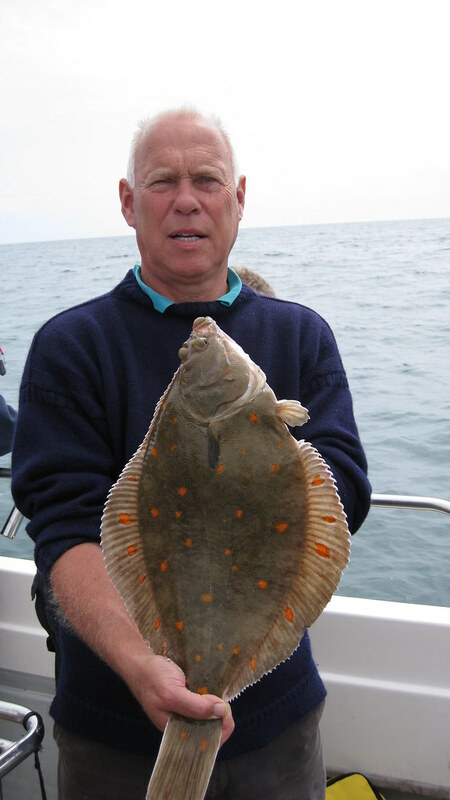 In second place was Mark Perkin with a score of 1,526gms. 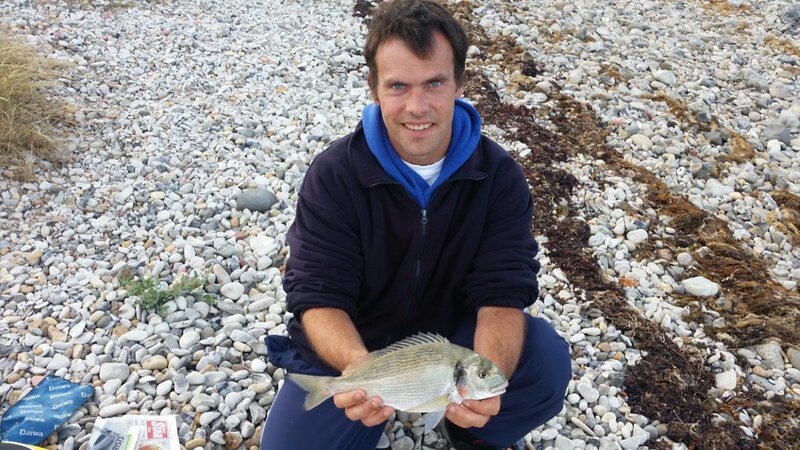 Third place was Andy Sheader with 1,446gms. 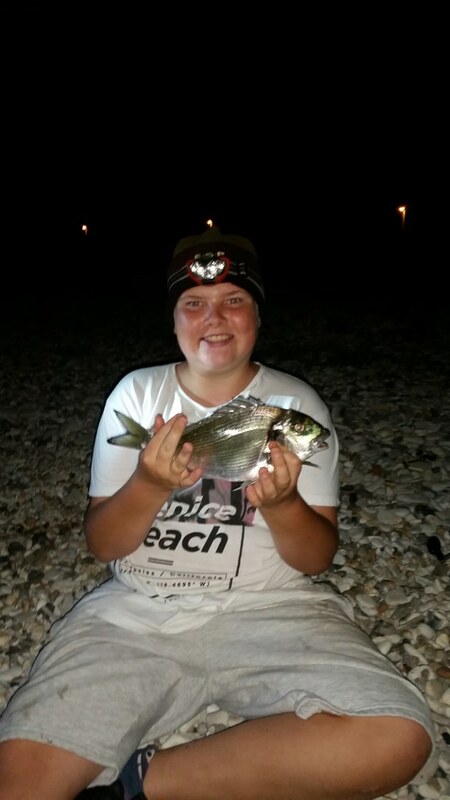 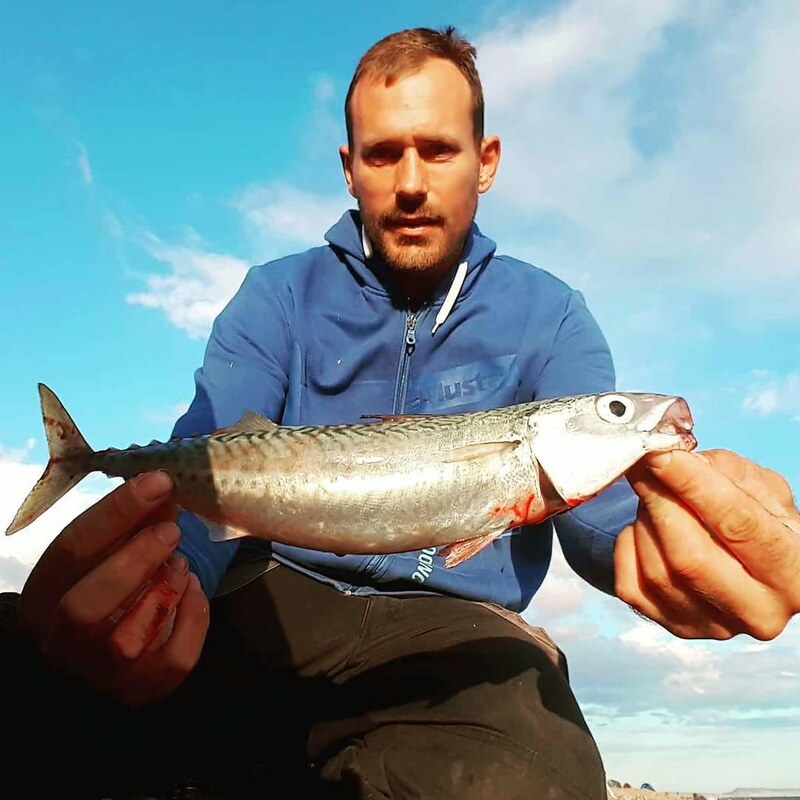 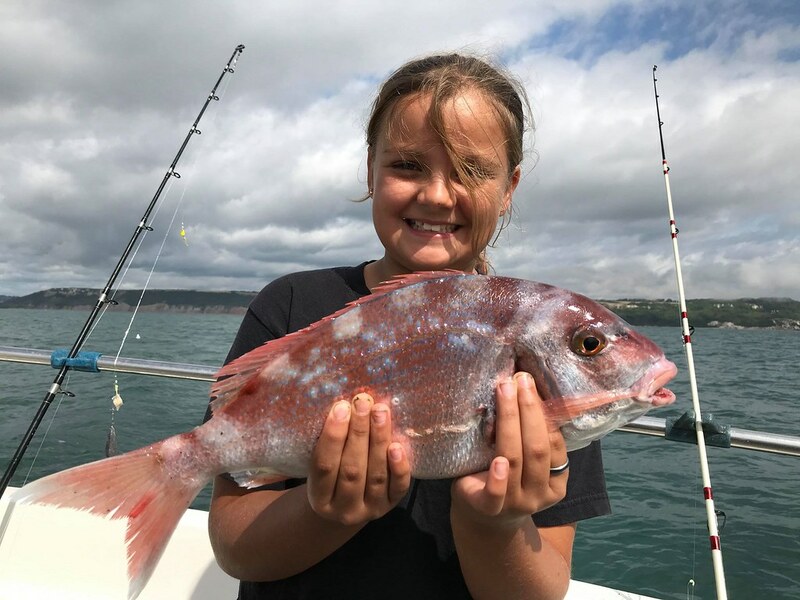 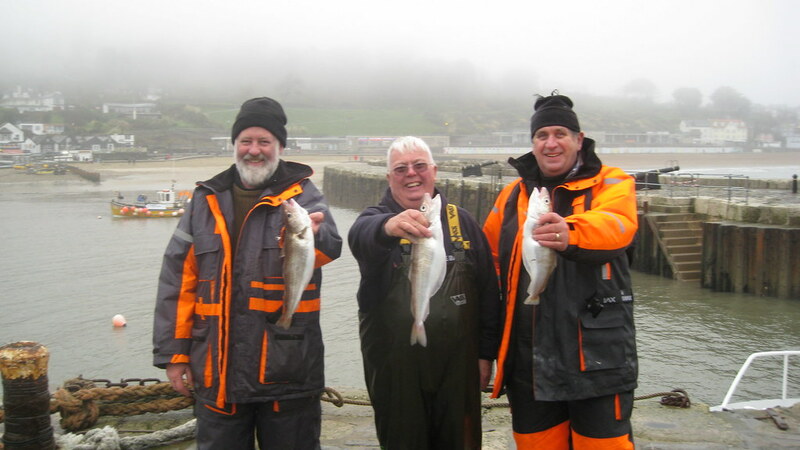 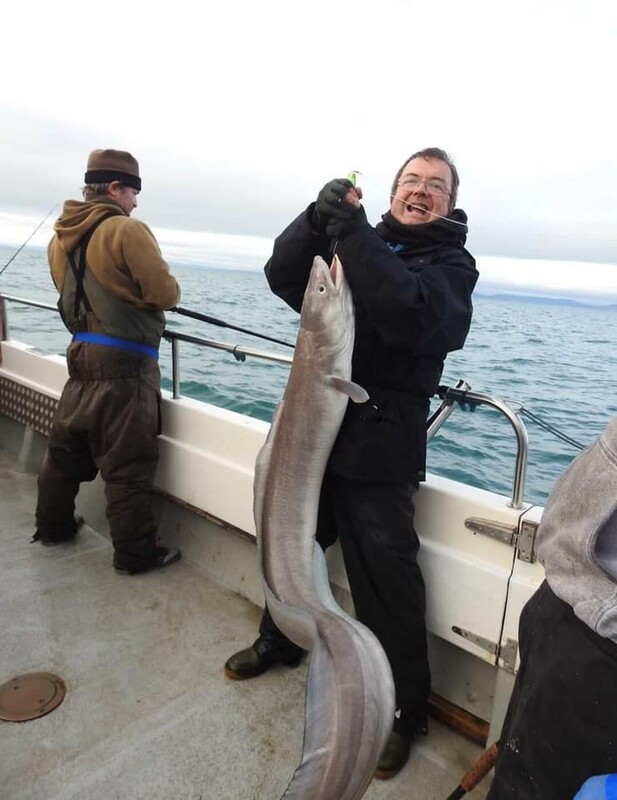 All competitors caught the minimum requirement of two whiting. 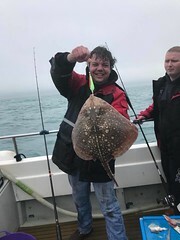 Lewis pictured with his personal best Pollack of 15lbs caught off his own boat Alice Rose on his only drift of the day. 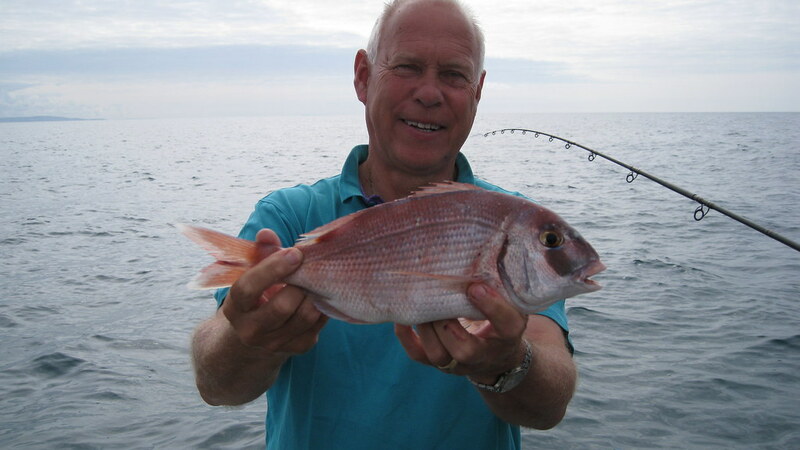 He borrowed another members rod and reel because that person was concerned the reel wasn't working properly. 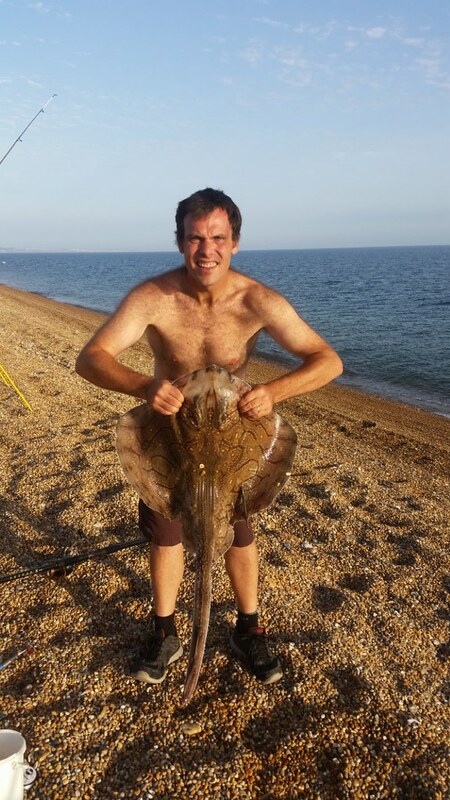 Lewis happy to hand it back and confirm everything was in working order!! 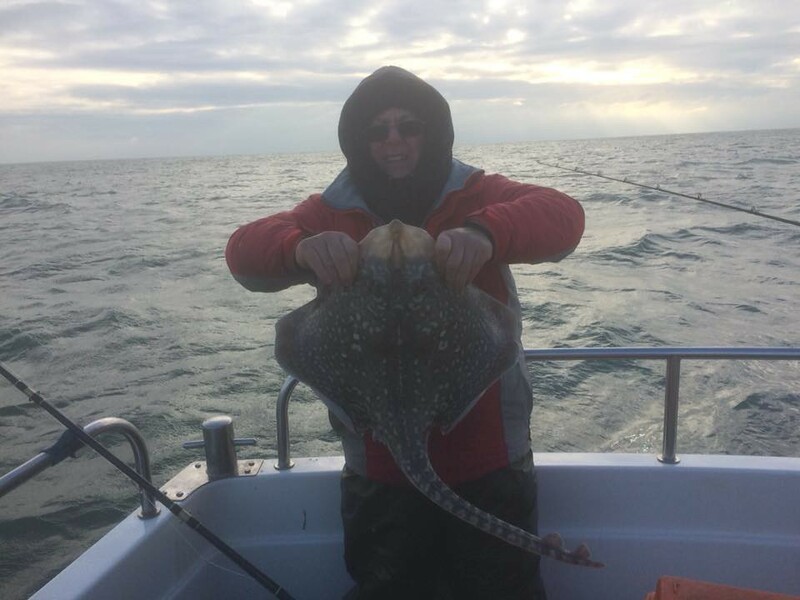 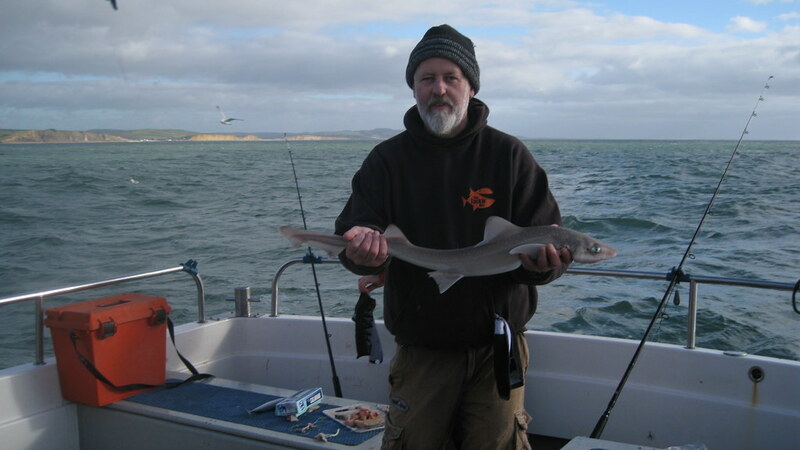 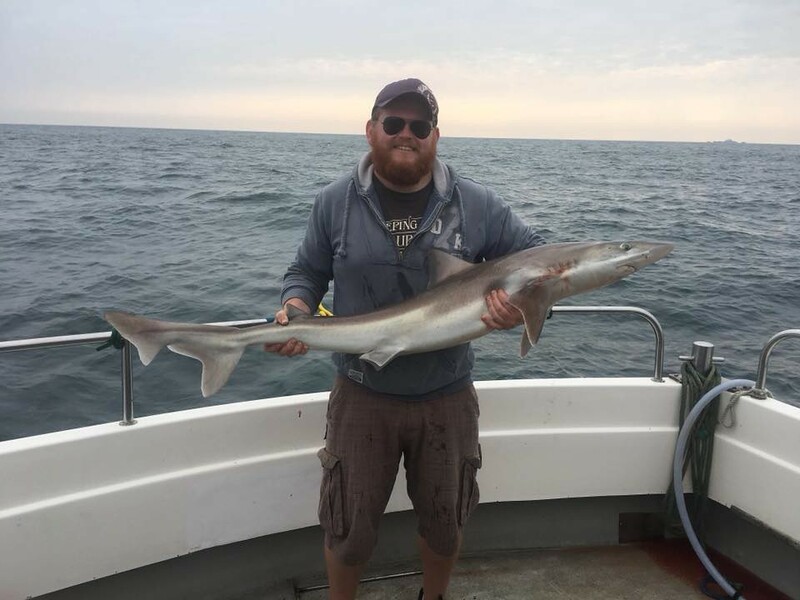 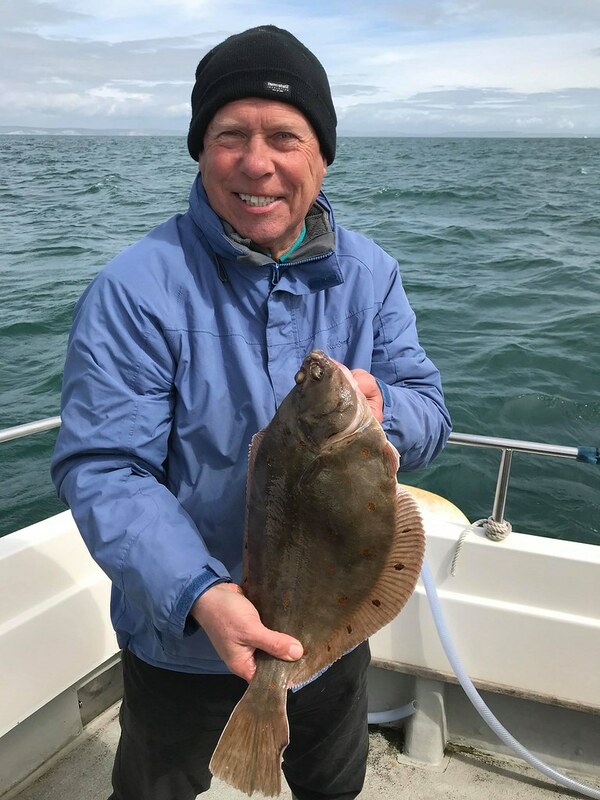 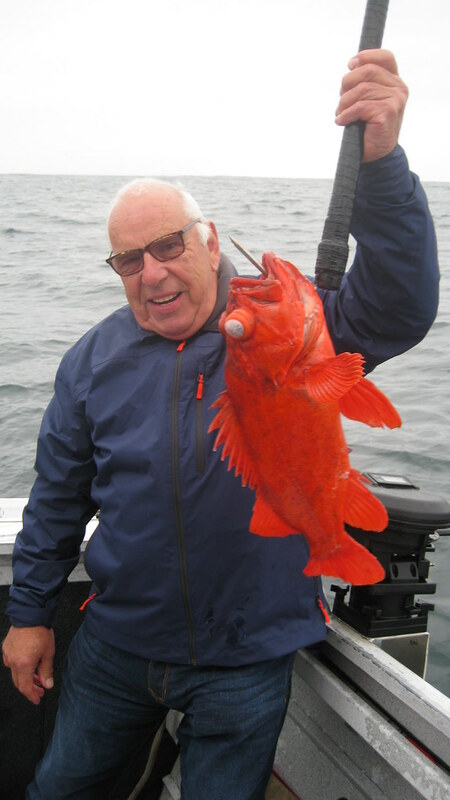 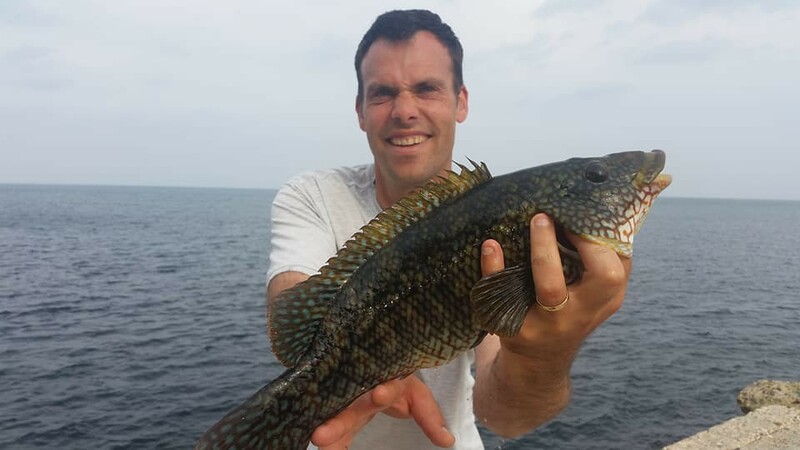 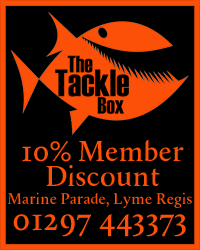 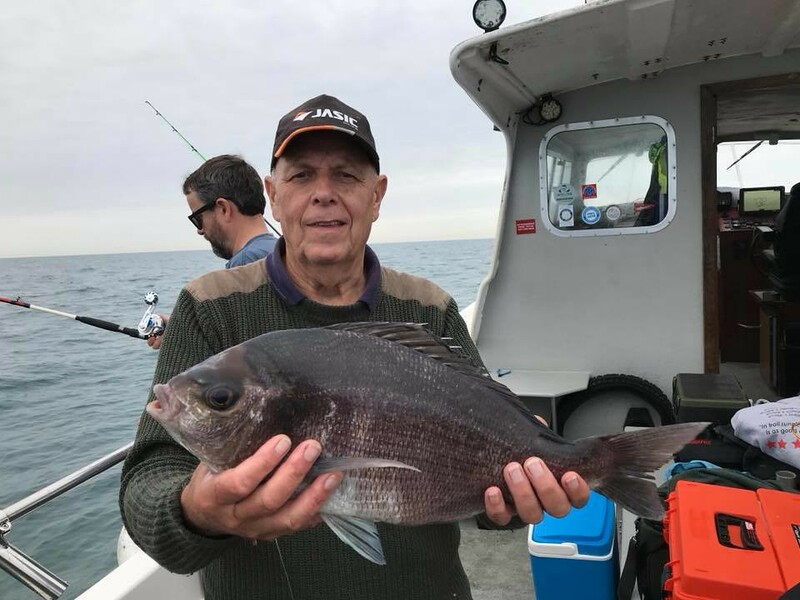 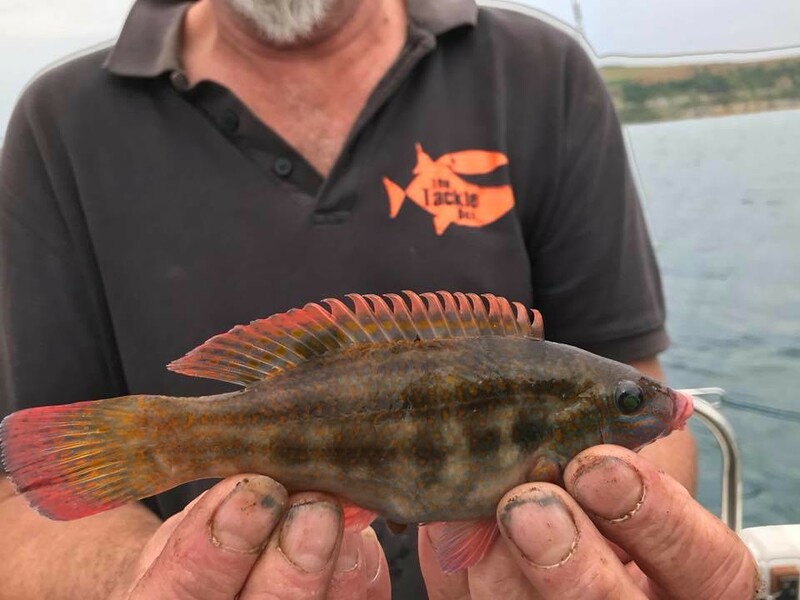 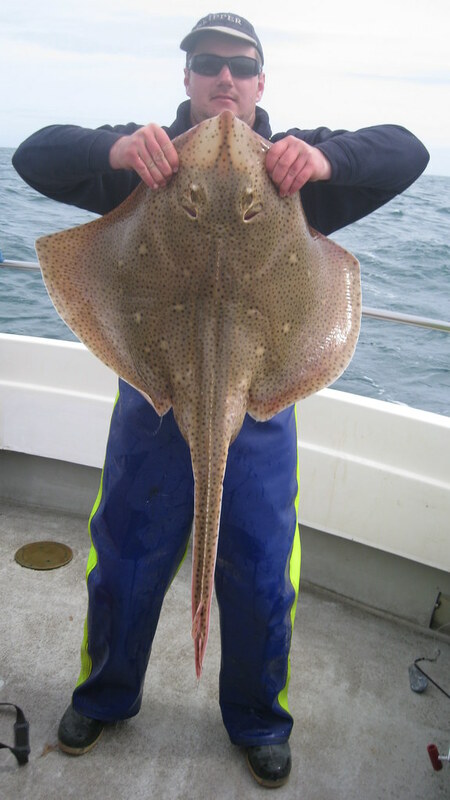 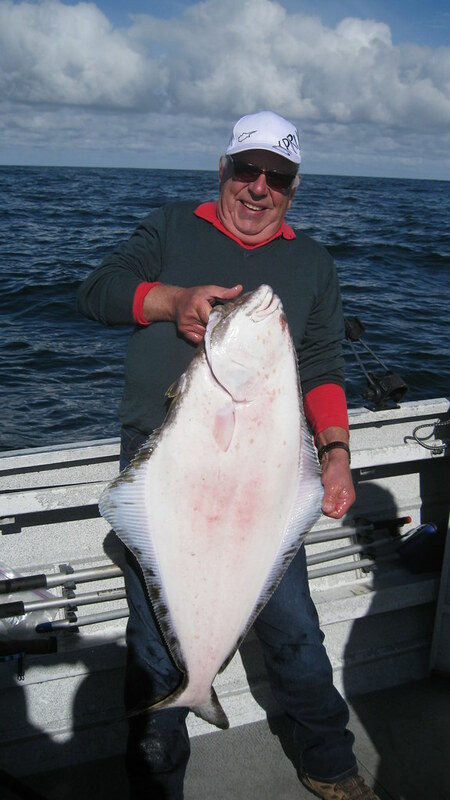 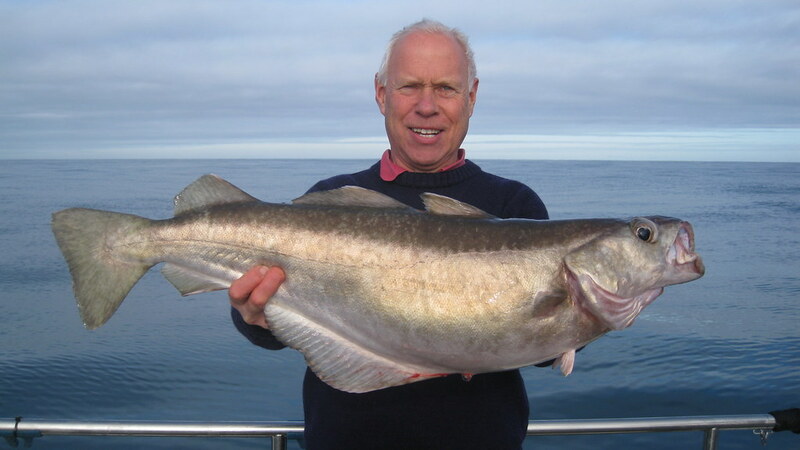 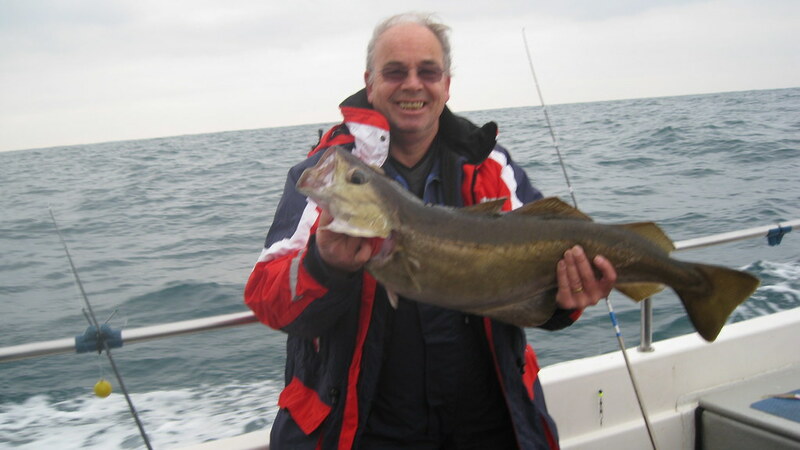 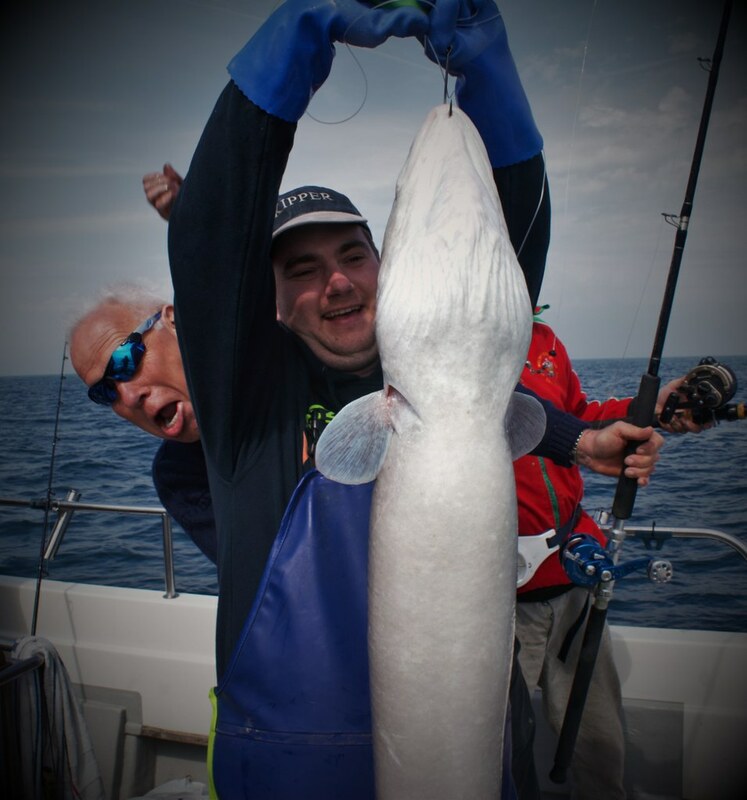 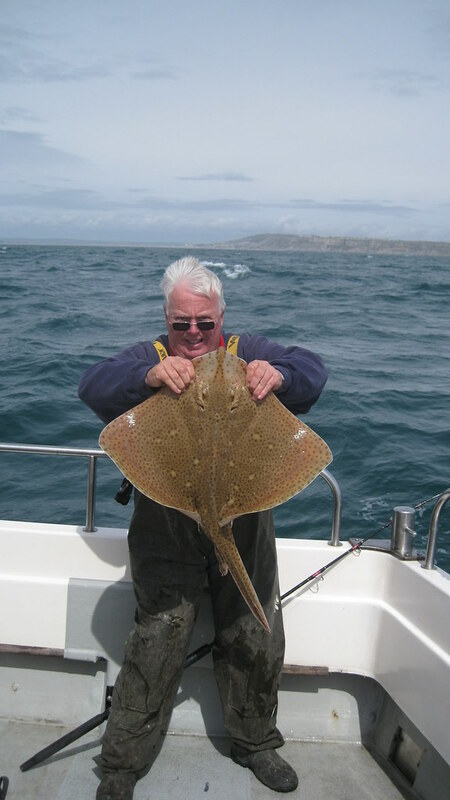 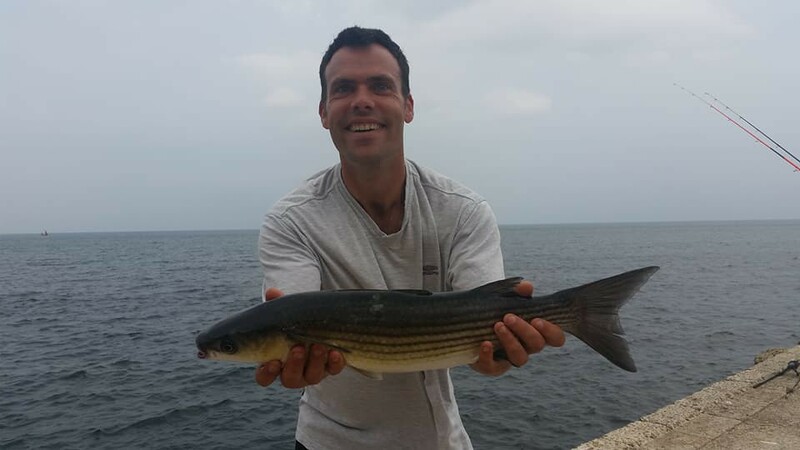 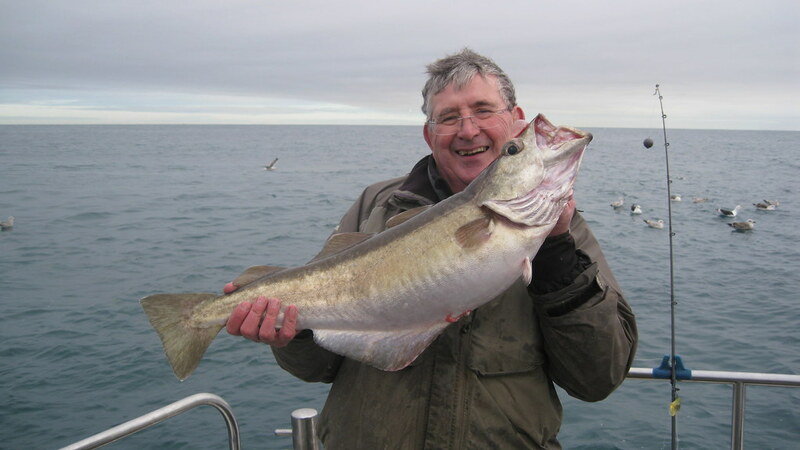 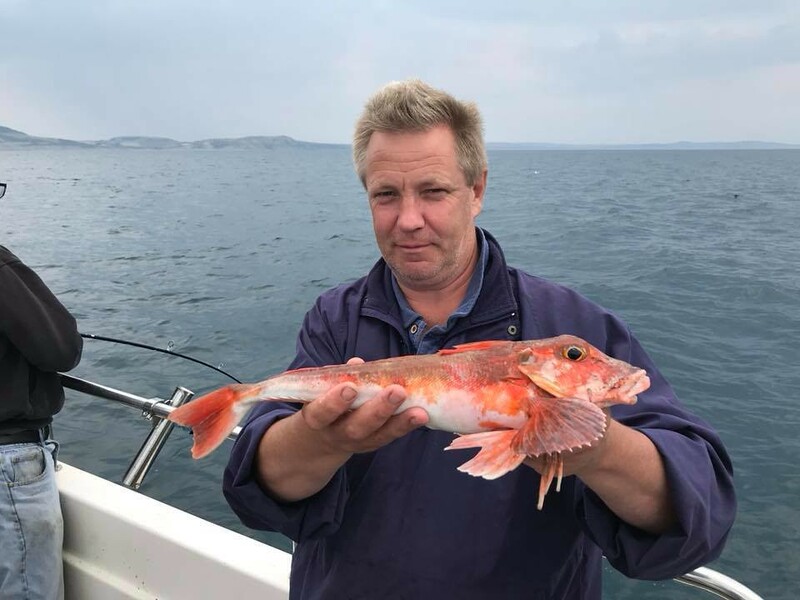 Mike pictured with a season's best Pollack caught on Alice Rose, fishing in 190 ft of water on a mid channel wreck. 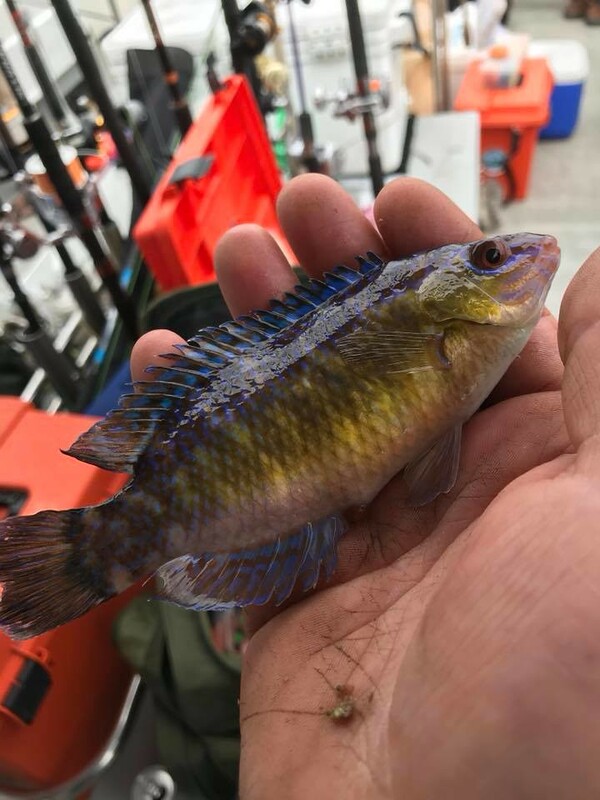 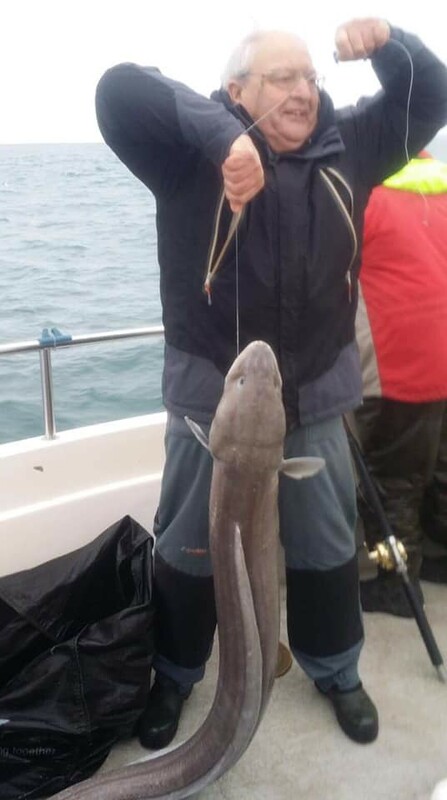 The fish was caught on an 15 ft trace using a 6 inch super slim Sidewinder lure. 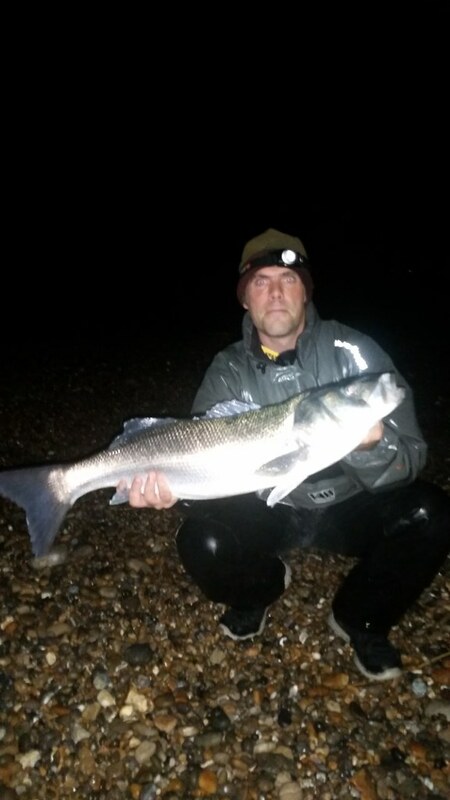 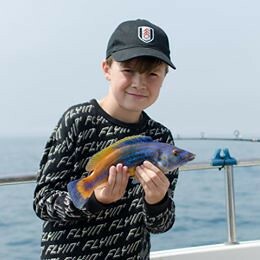 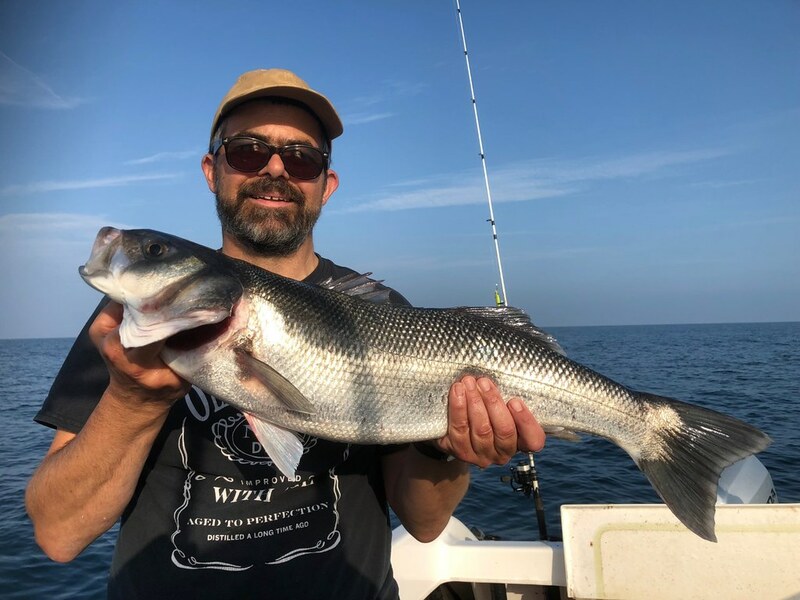 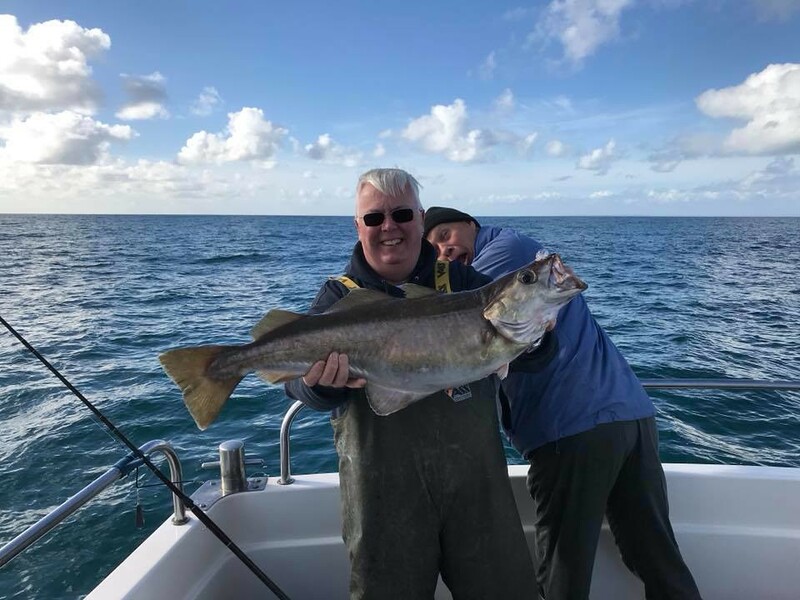 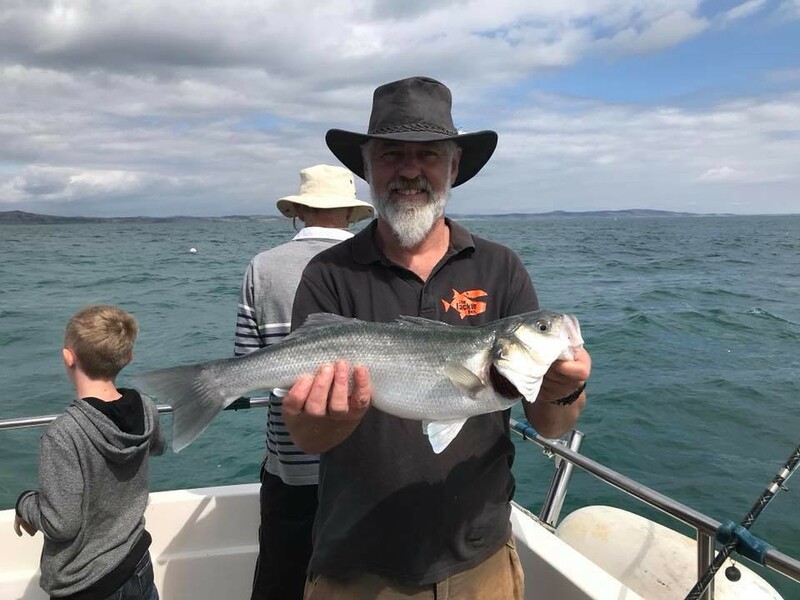 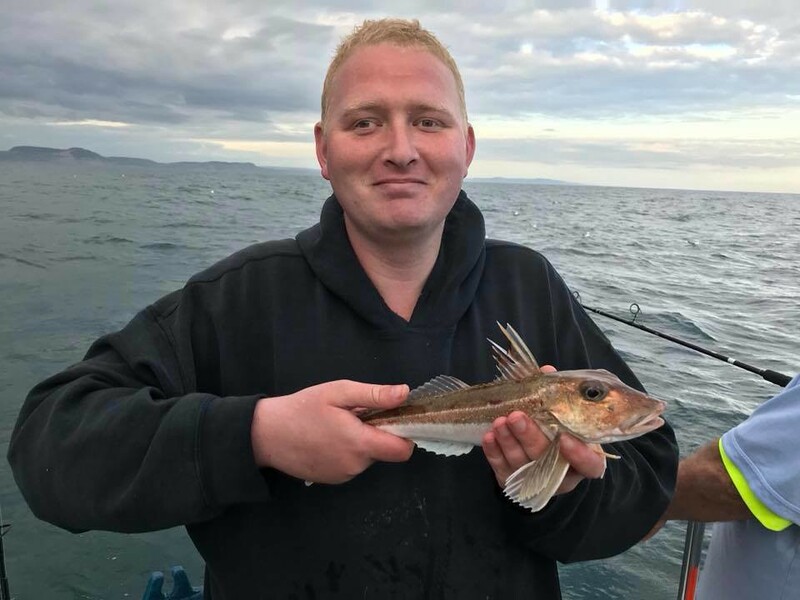 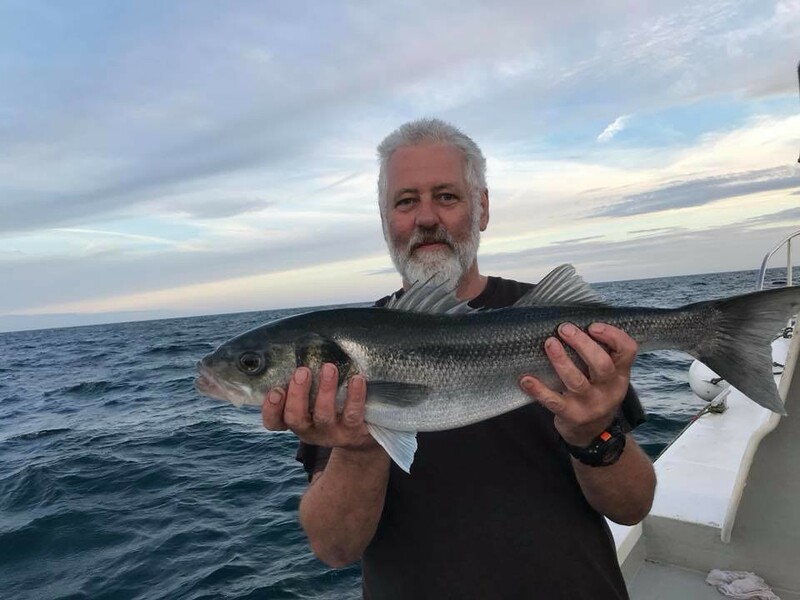 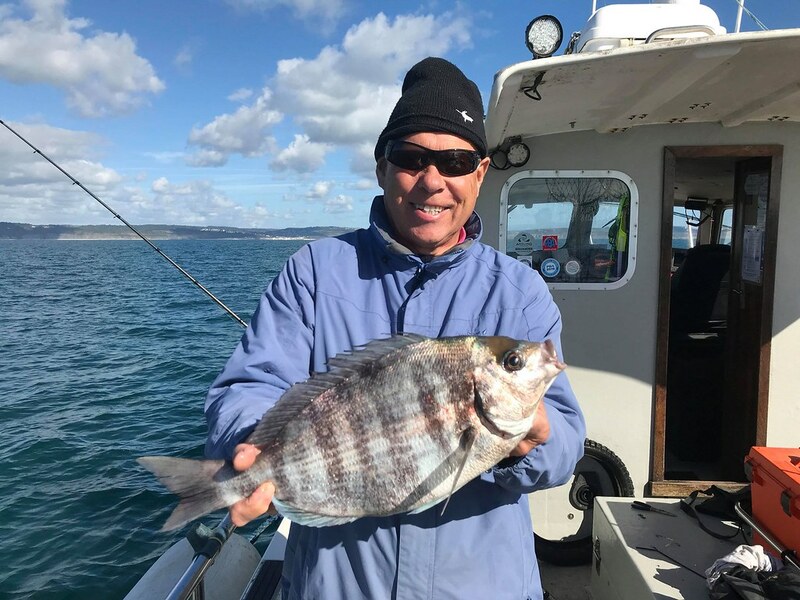 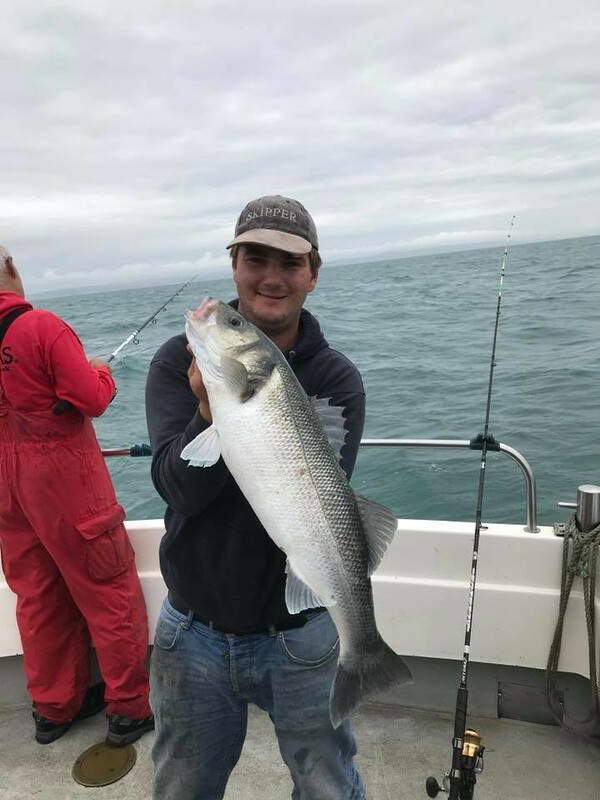 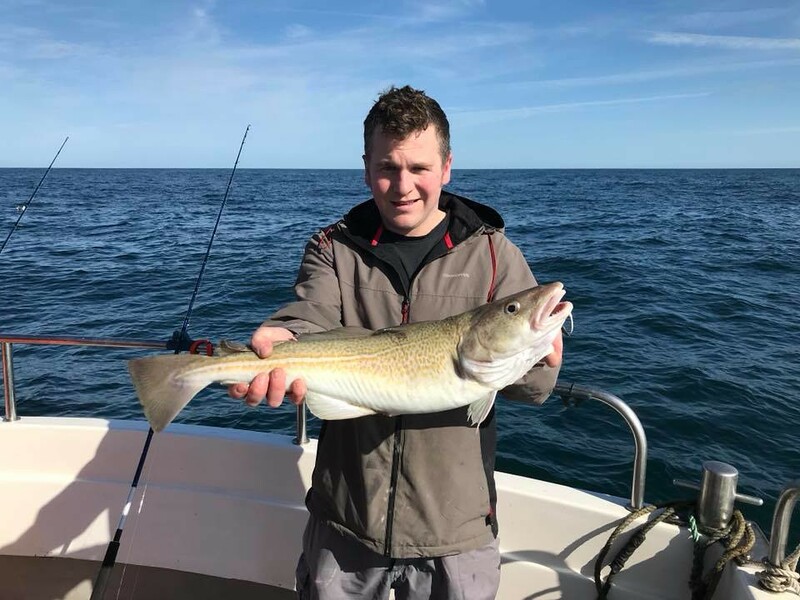 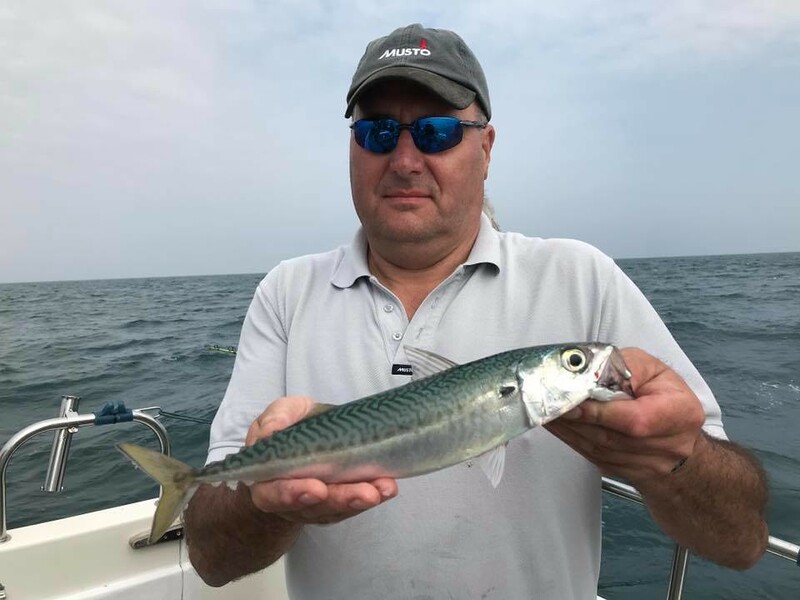 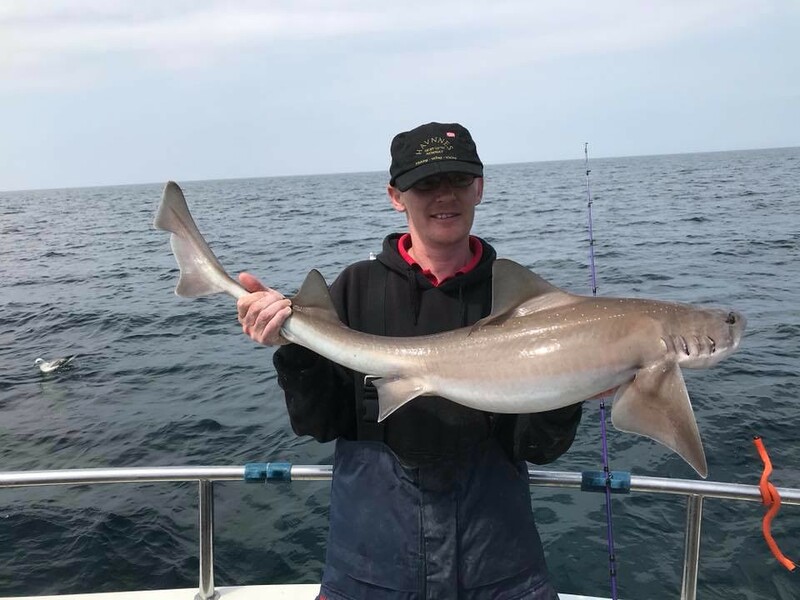 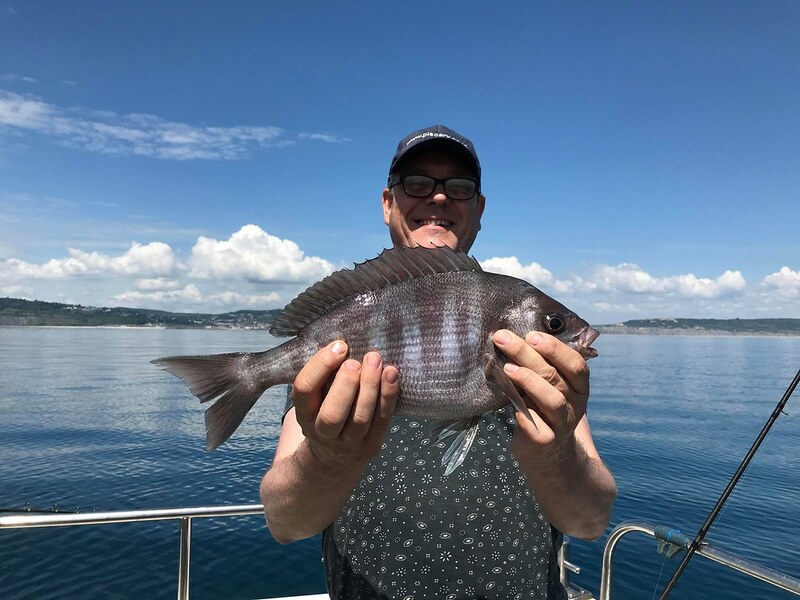 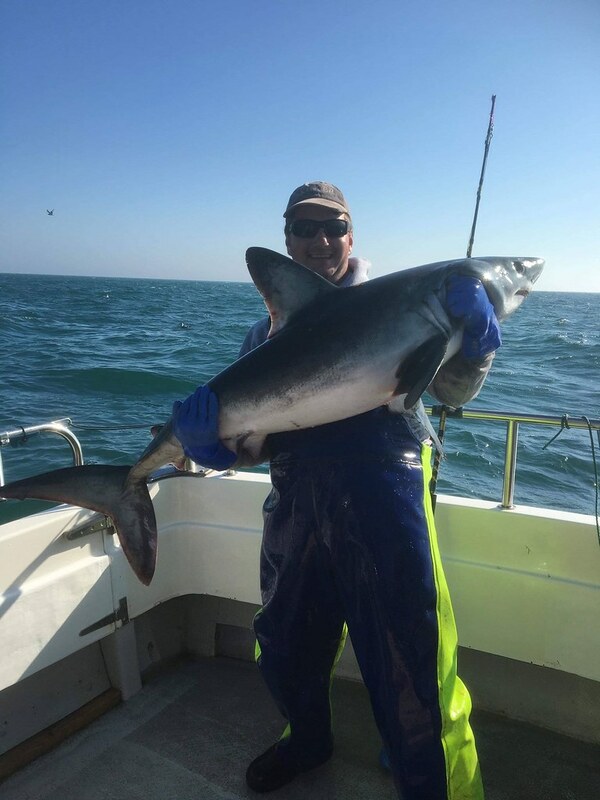 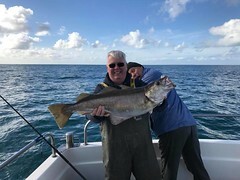 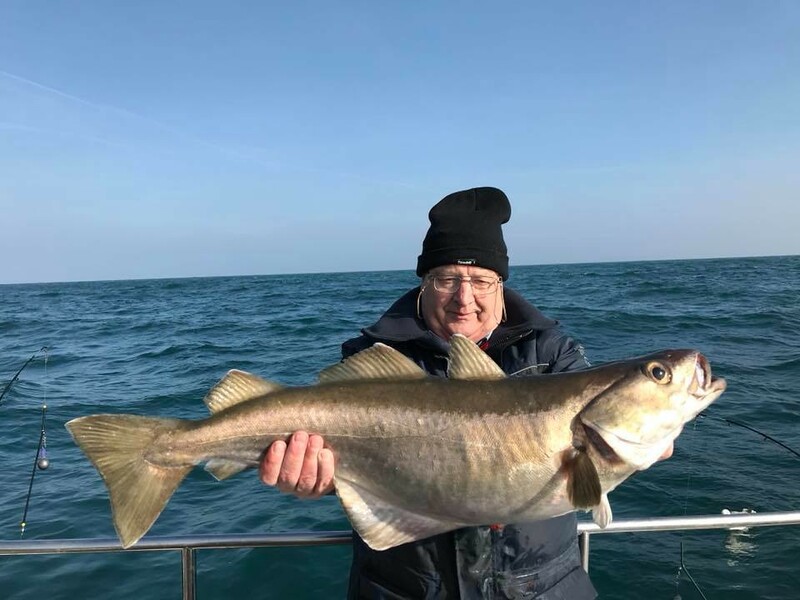 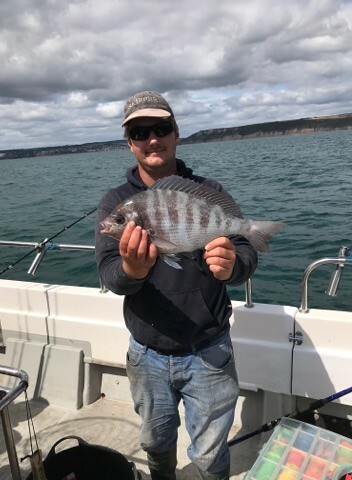 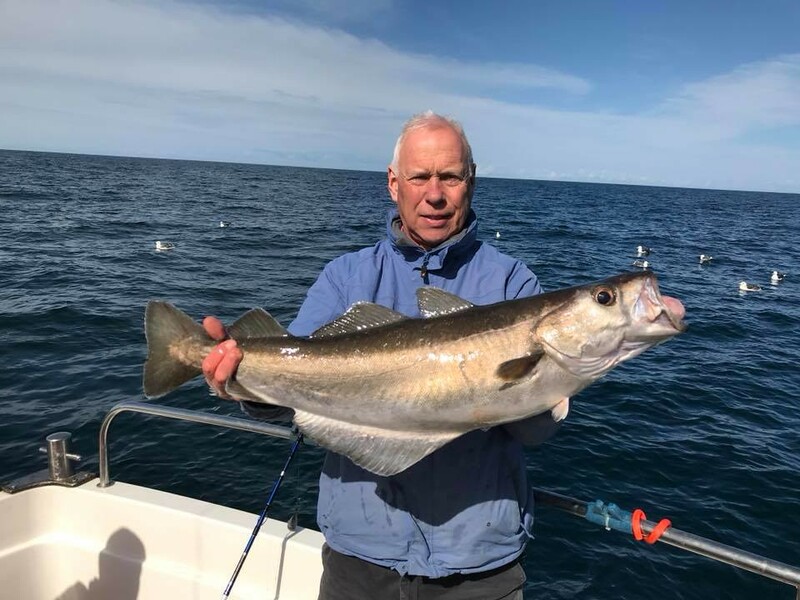 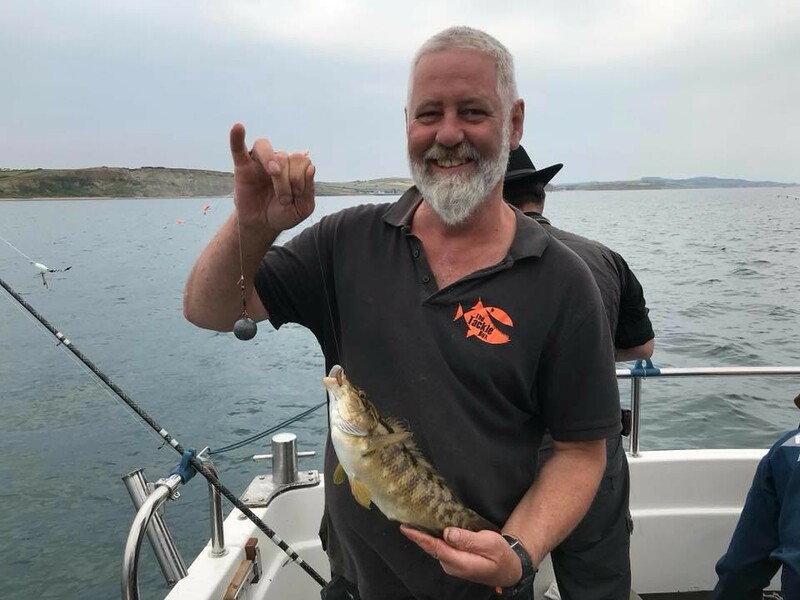 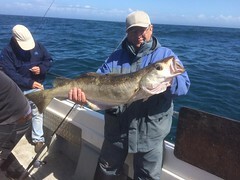 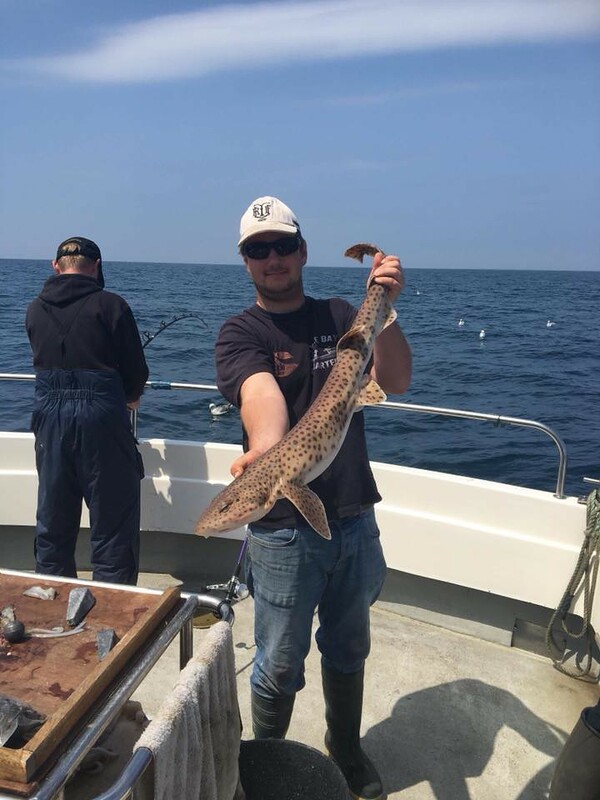 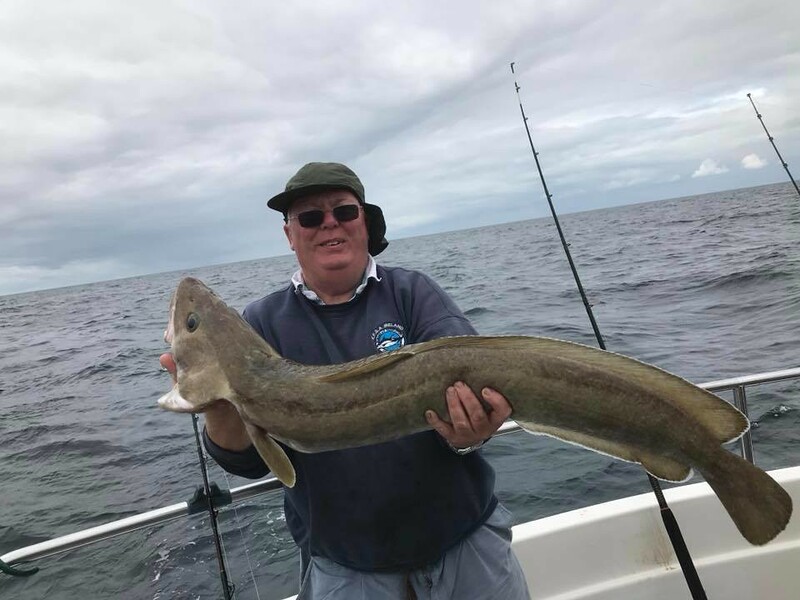 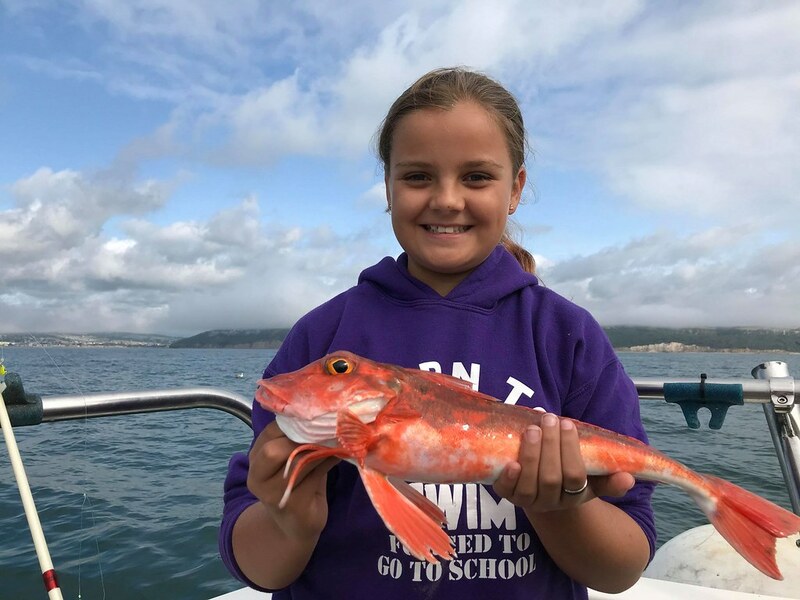 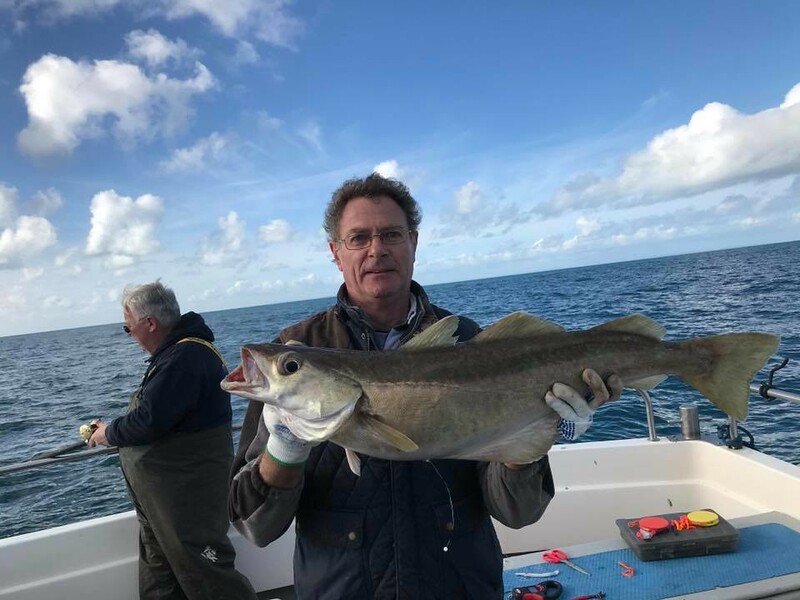 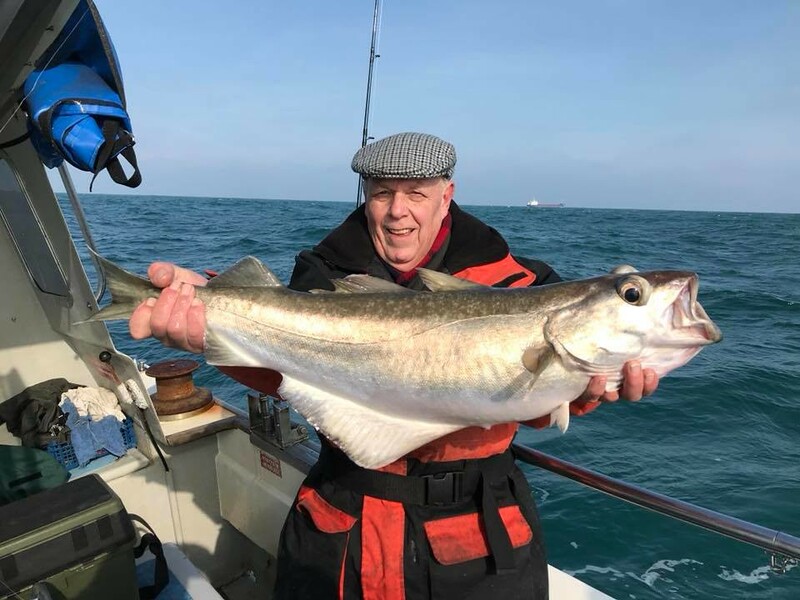 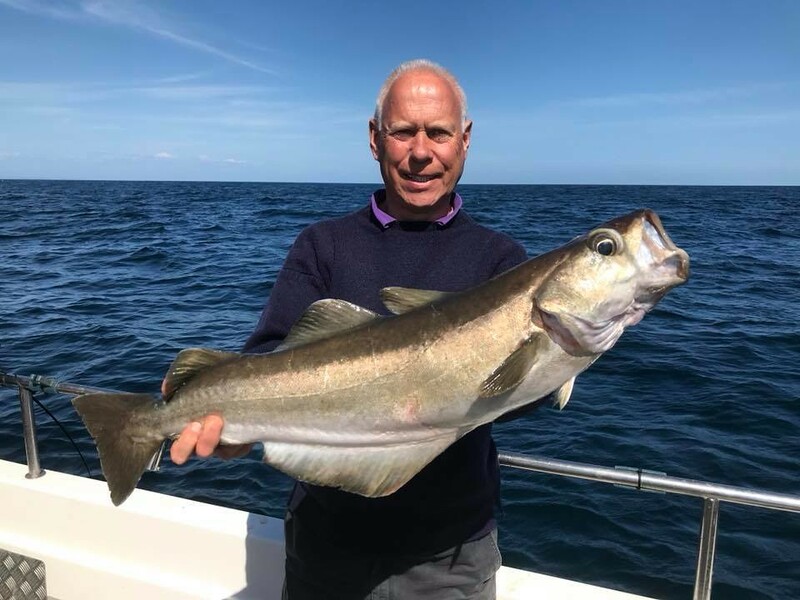 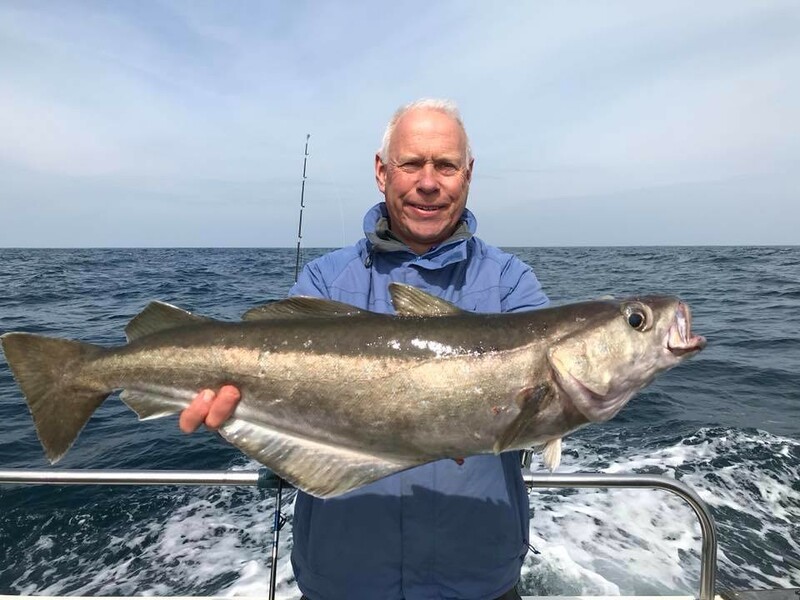 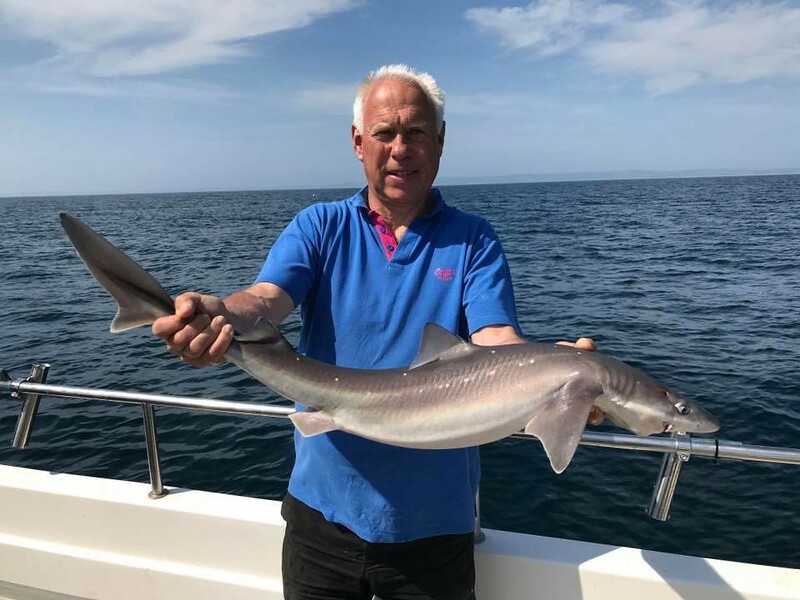 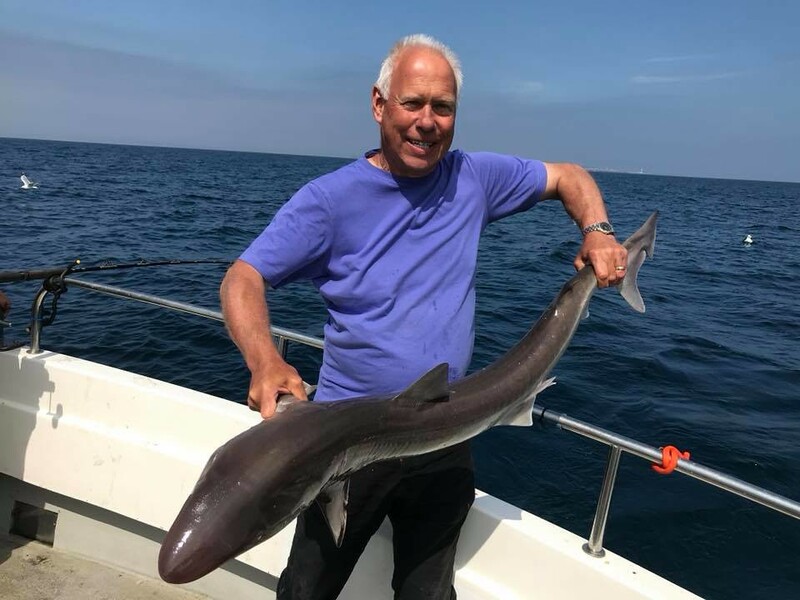 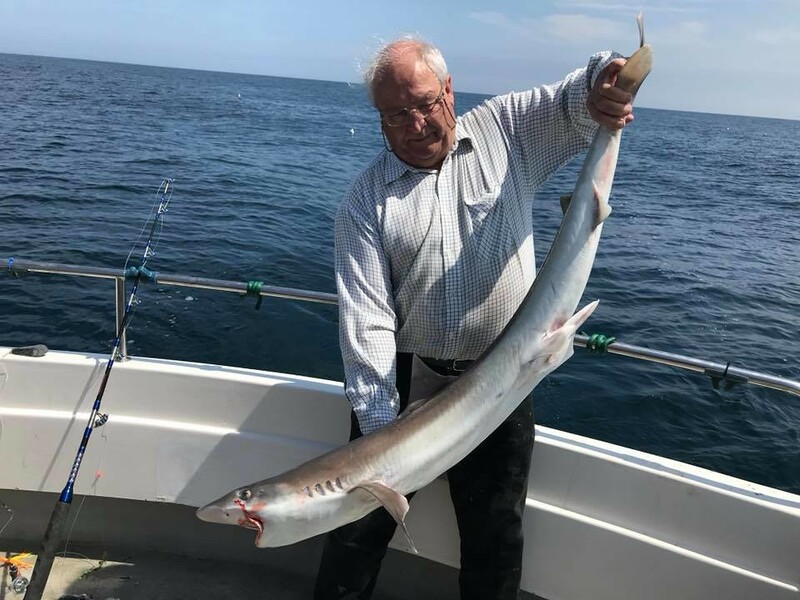 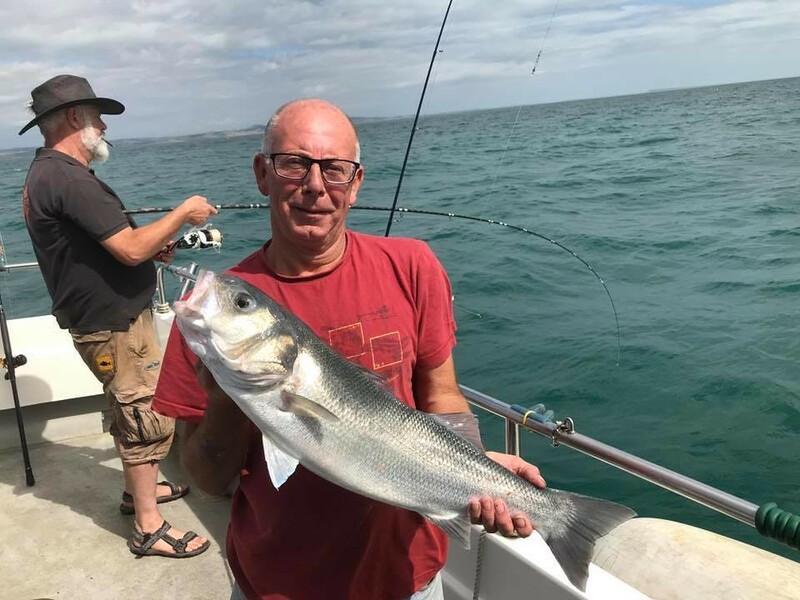 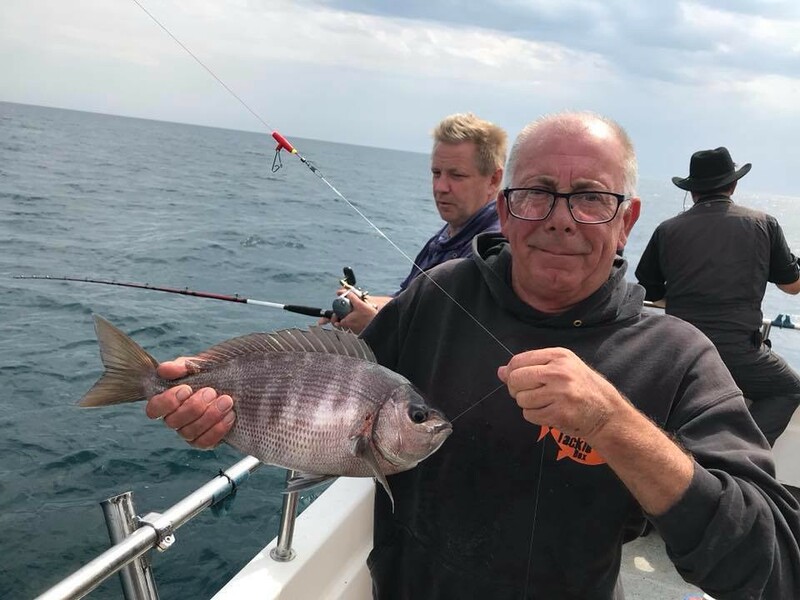 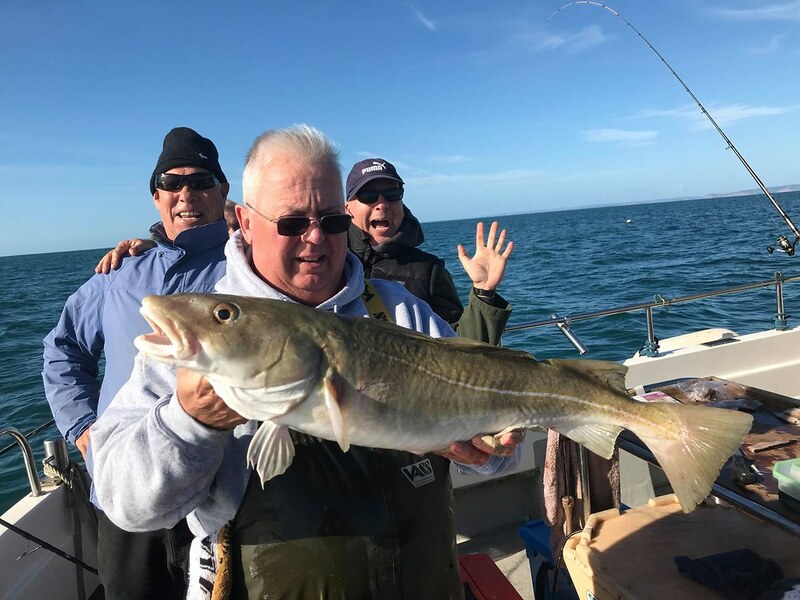 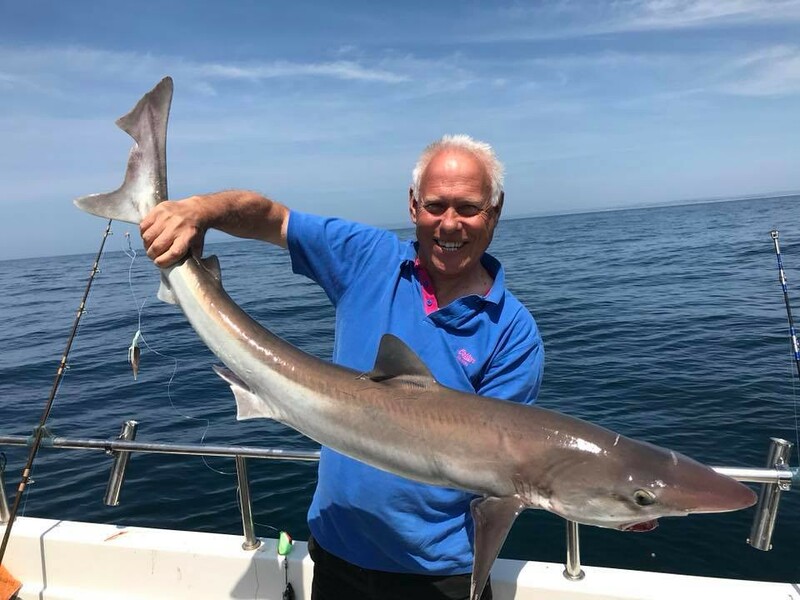 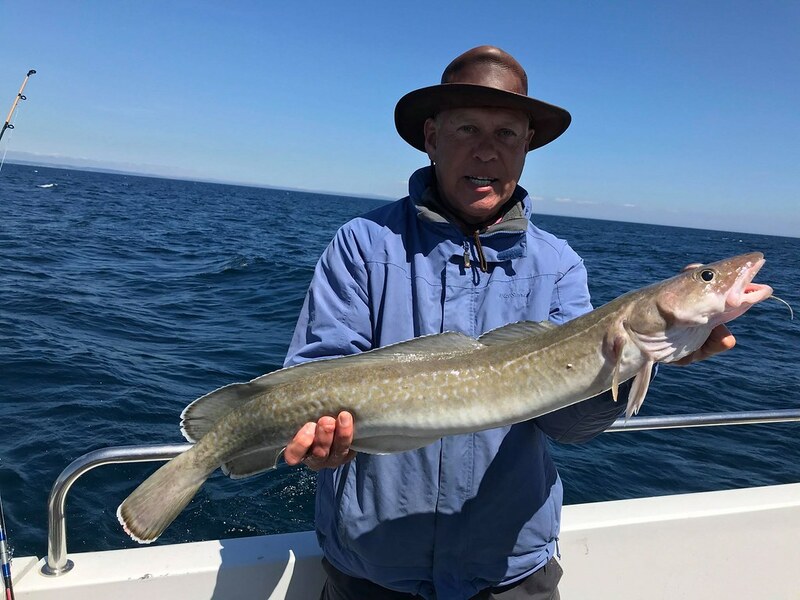 Stuart pictured with a very fine 15lb plus Pollack caught on Alice Rose fishing in 190 ft of water on a mid channel wreck.